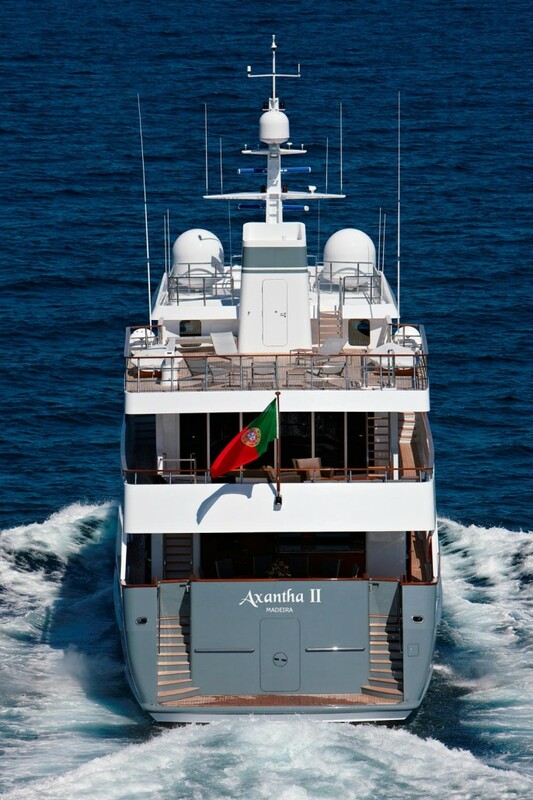 Motor yacht Axantha II is an expedition style motor yacht built and launched by the world renowned shipyard JFA Yachts in 2011. 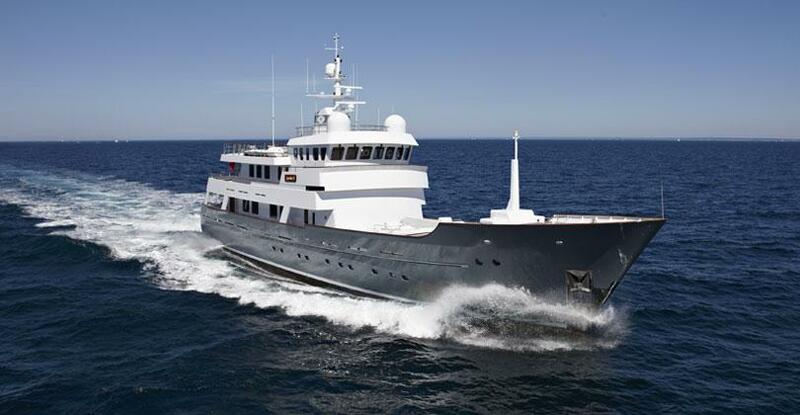 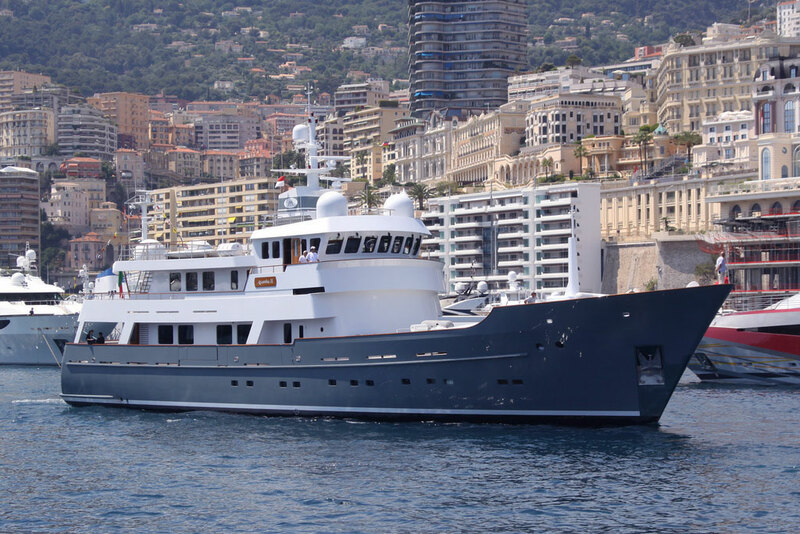 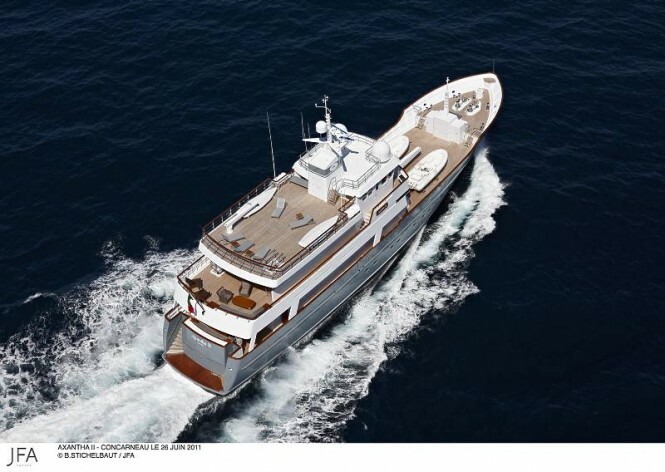 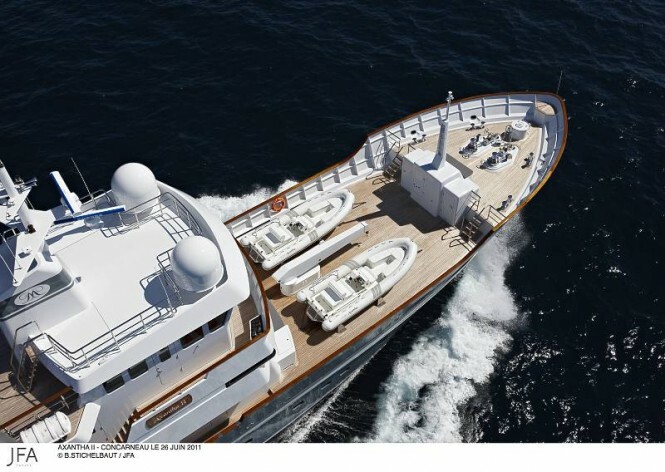 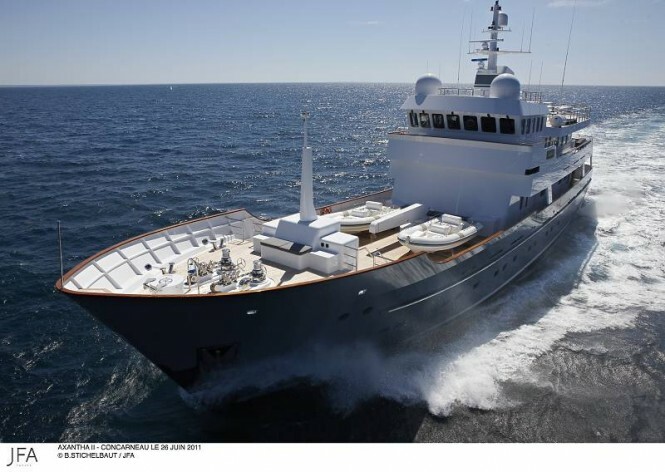 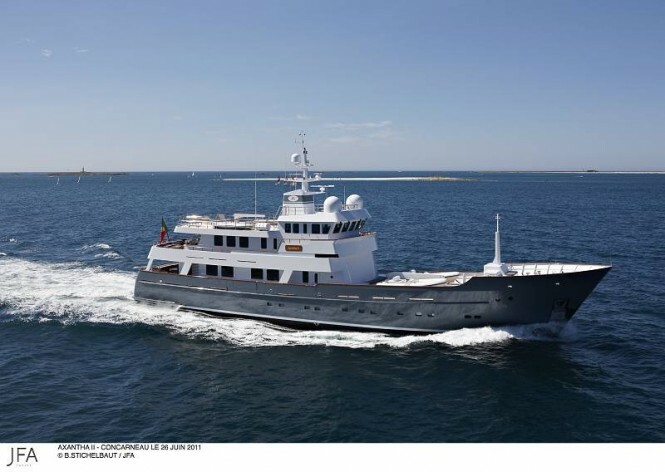 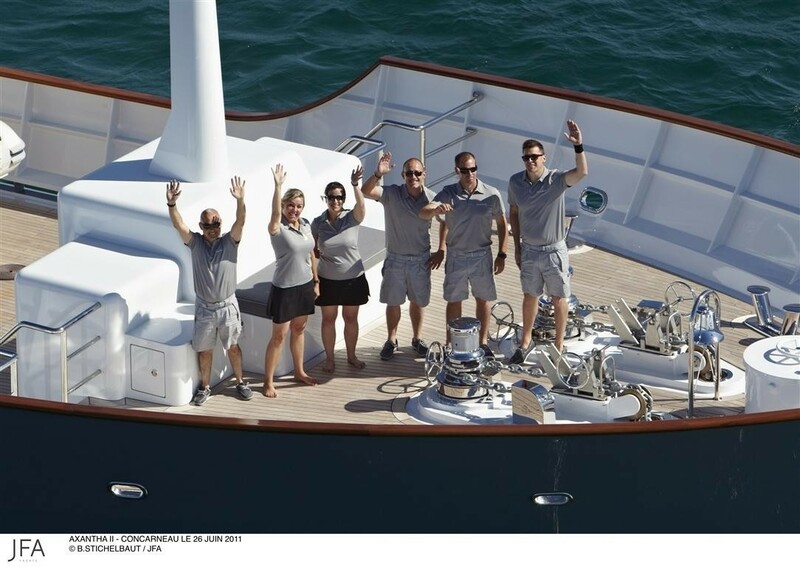 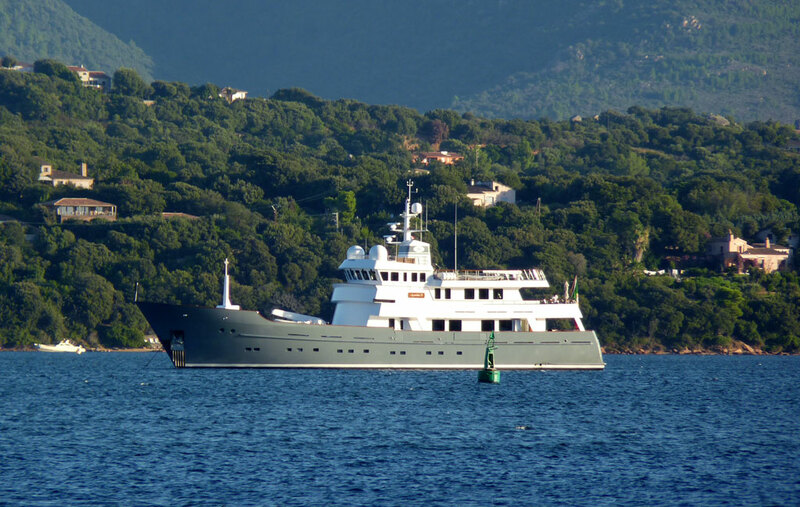 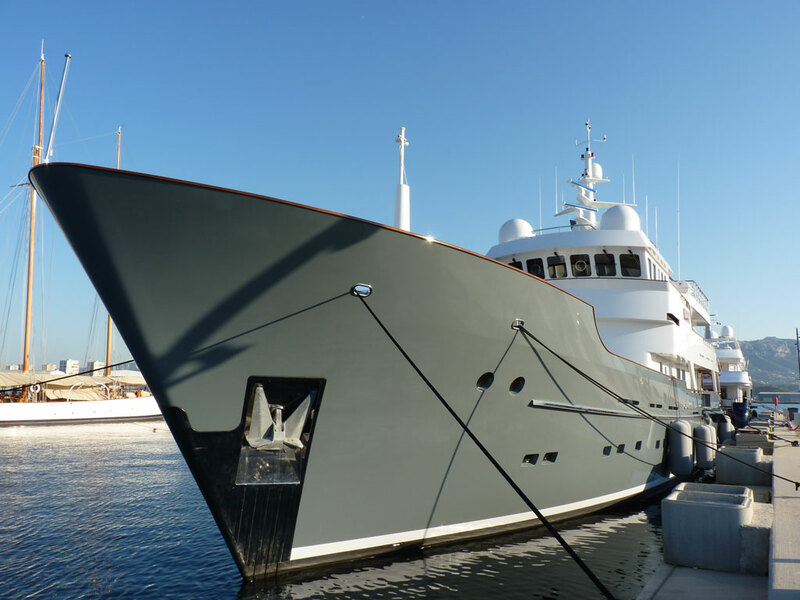 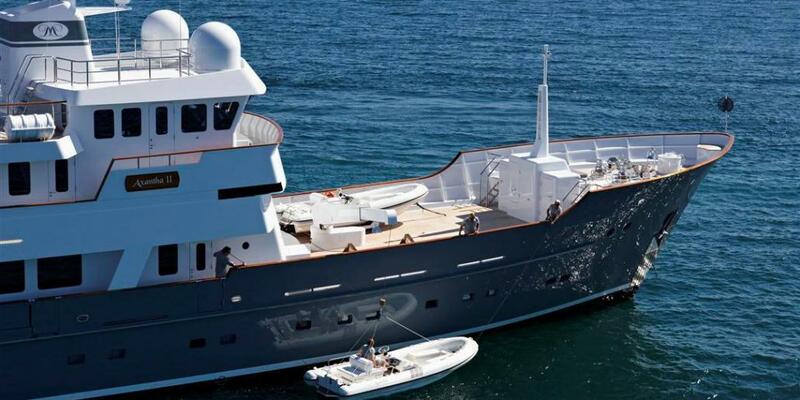 She measures 43 meters in length overall, built under the hull name 22C and designed by Vripack Naval Architects. 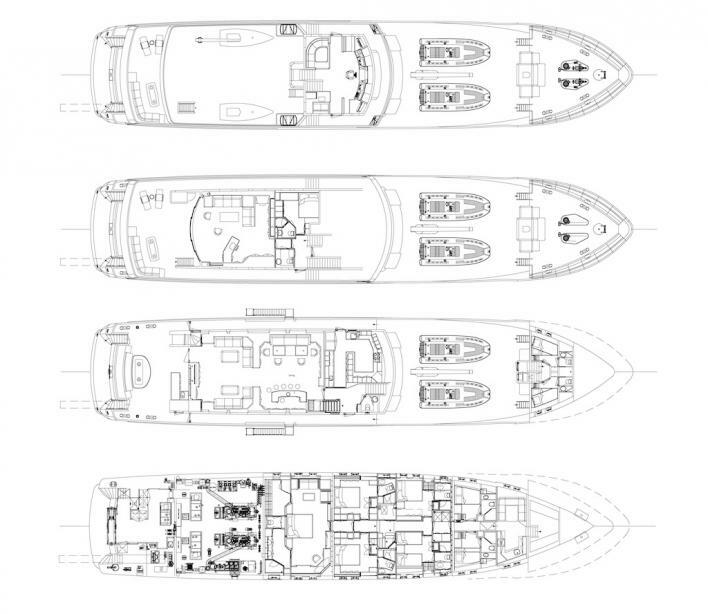 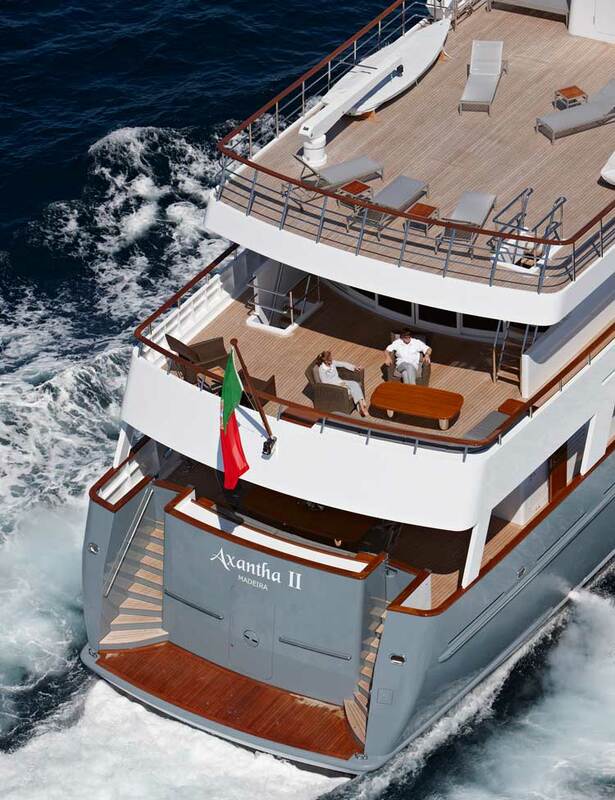 AXANTHA II was designed for far-reaching ocean voyages and features aluminum hull as well as superstructure giving her a moderate displacement which, combined with the reasonable sized engine, allow her to reach a speed of 14.8 knots. 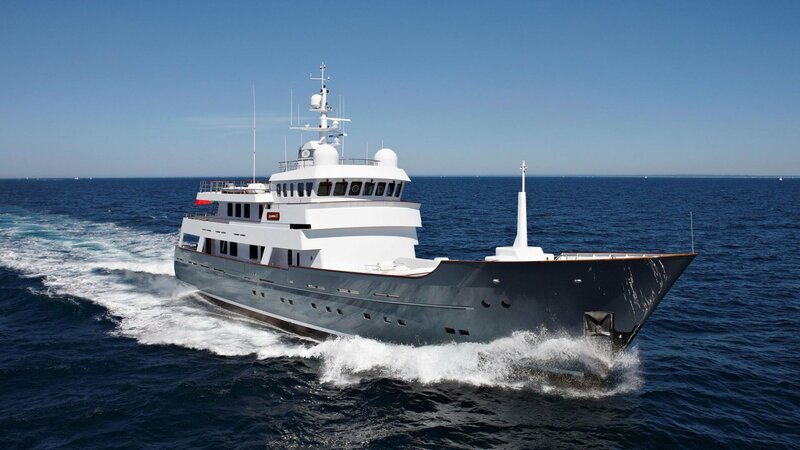 Axantha II's fuel consumption is 93.5 liters at 11.3 knots, allowing for 7900 nautical miles autonomy, very suitable for open ocean cruising. 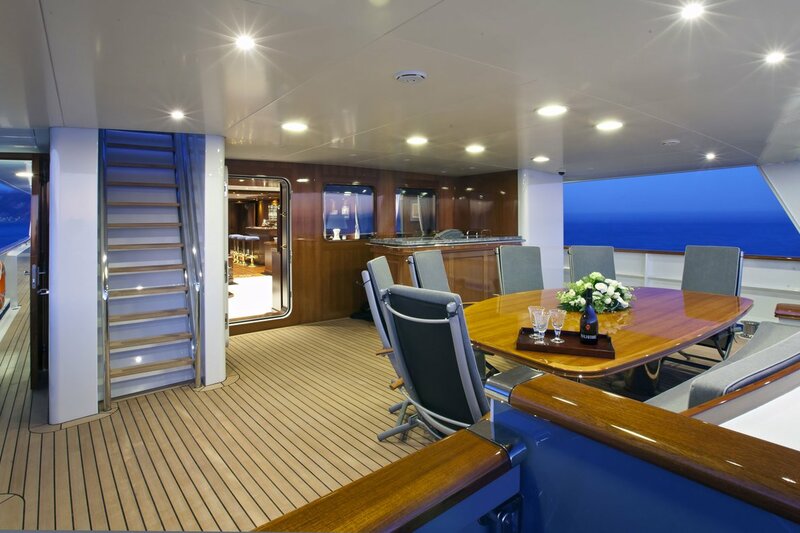 The interior layout was designed to offer guests the enjoyment of all outdoor aft areas, such as the lounges and access to the sea. 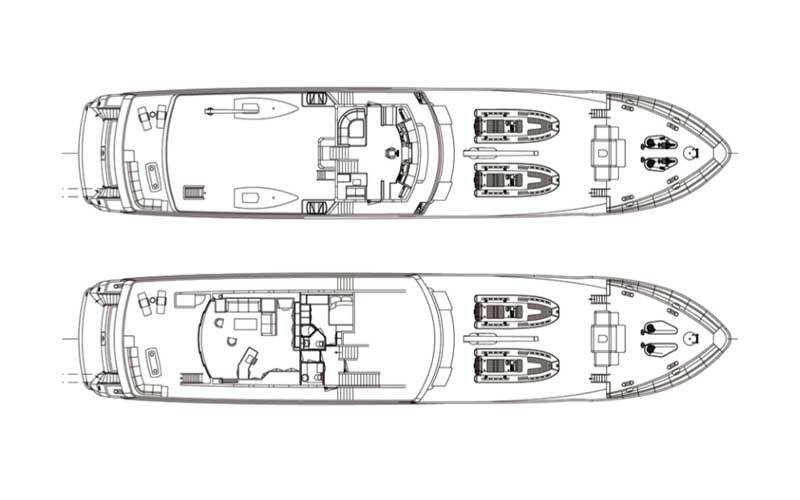 The forward area is dedicated to the crew and has direct access to the forward deck. 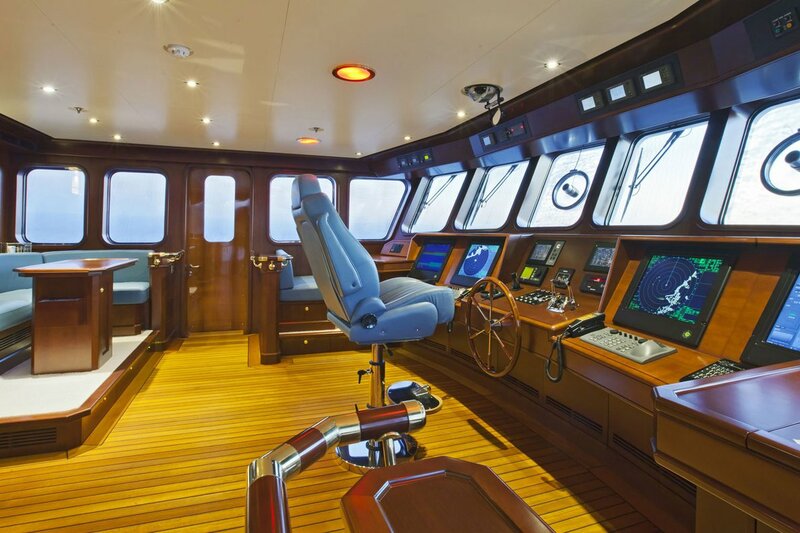 This large and bright forward deck (or tender deck) enables the storage of two 5.6 meter ribs, perfectly equipped for one-day expeditions. 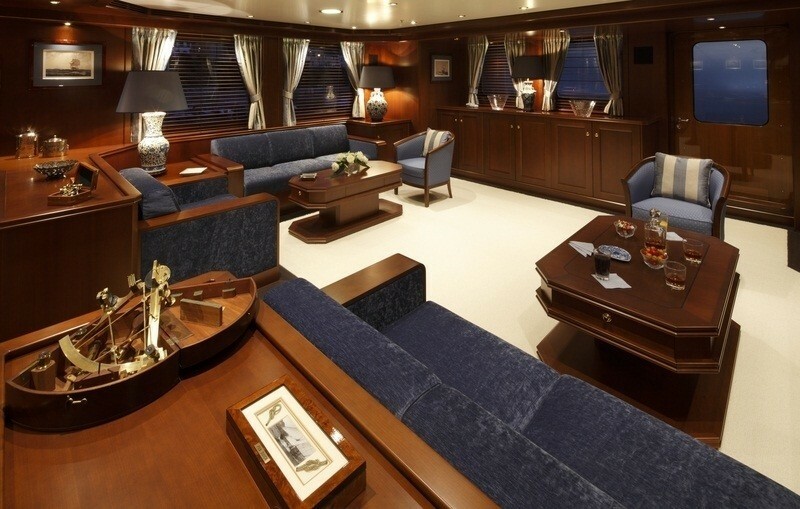 She features a traditional and elegant interior. 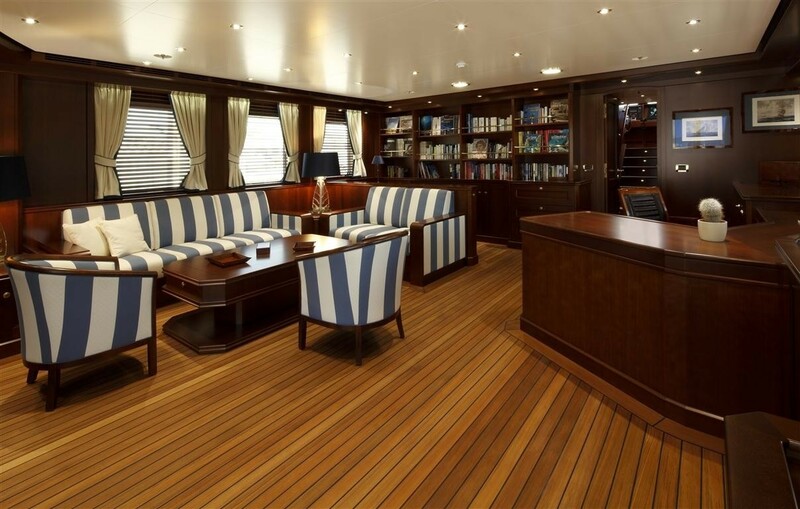 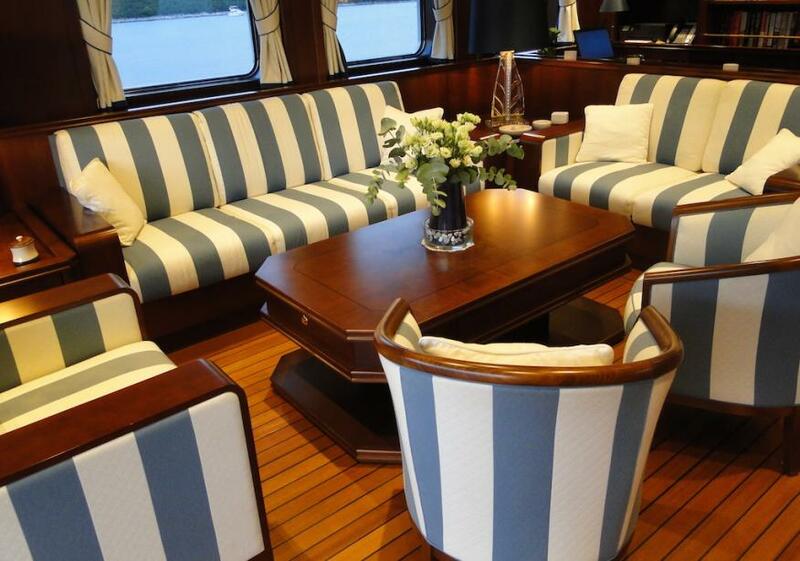 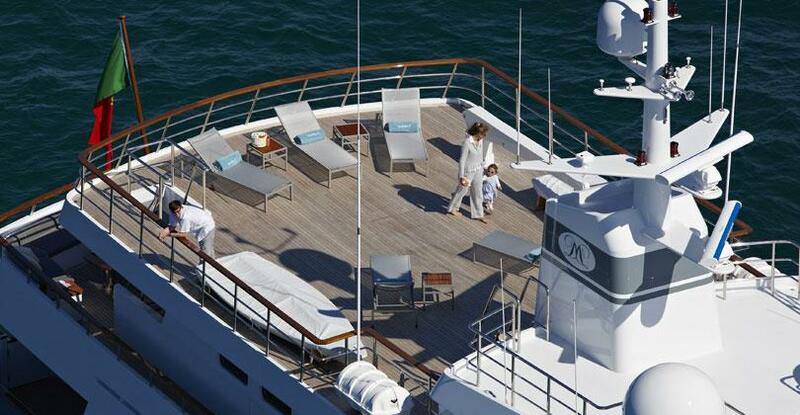 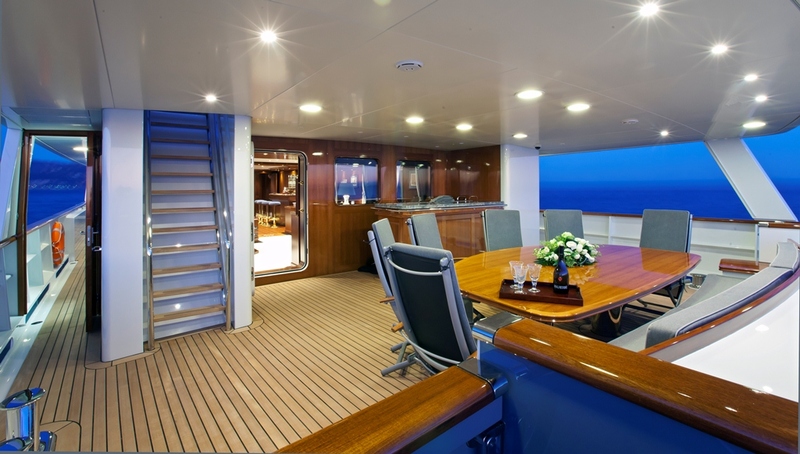 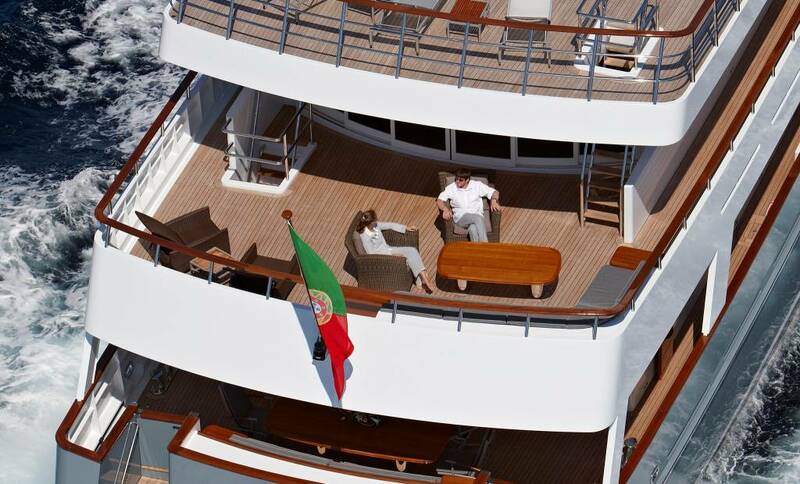 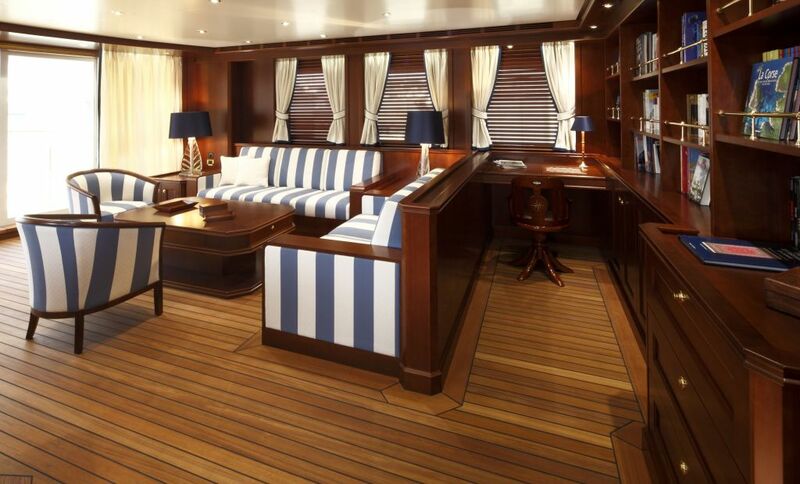 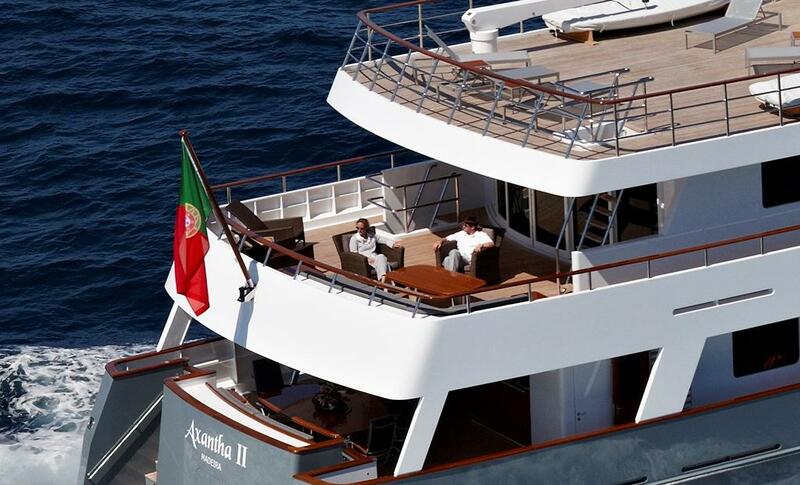 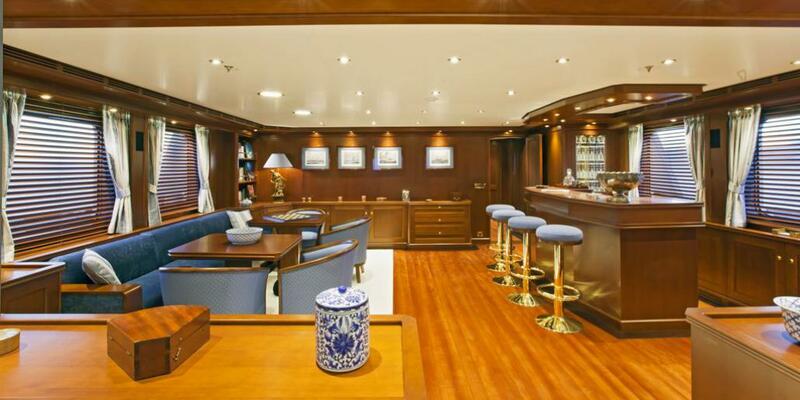 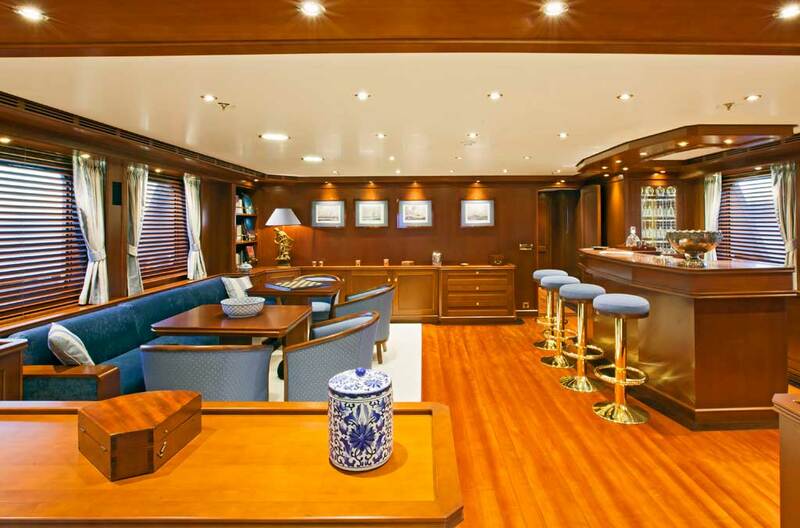 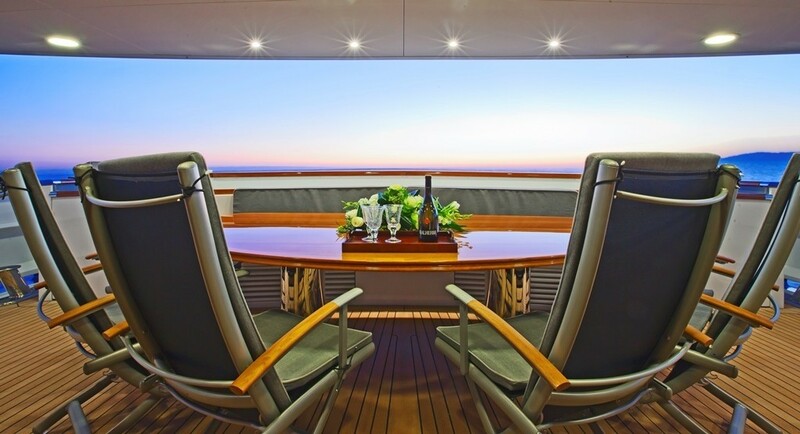 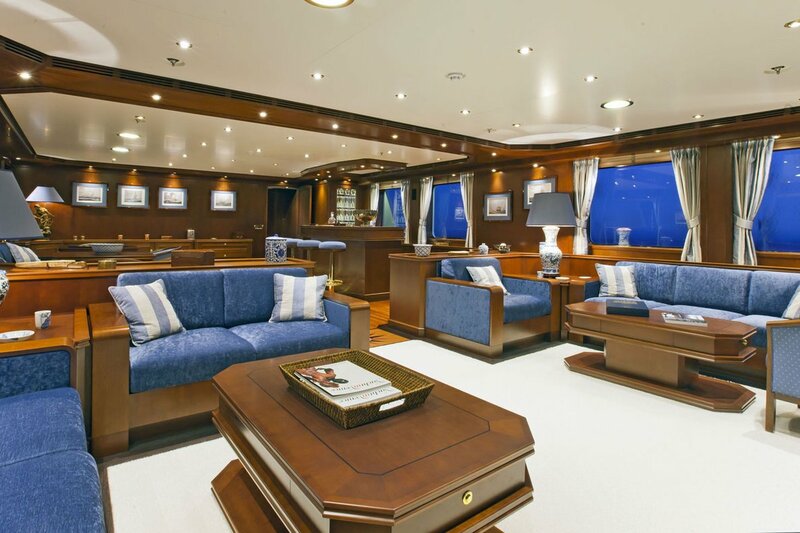 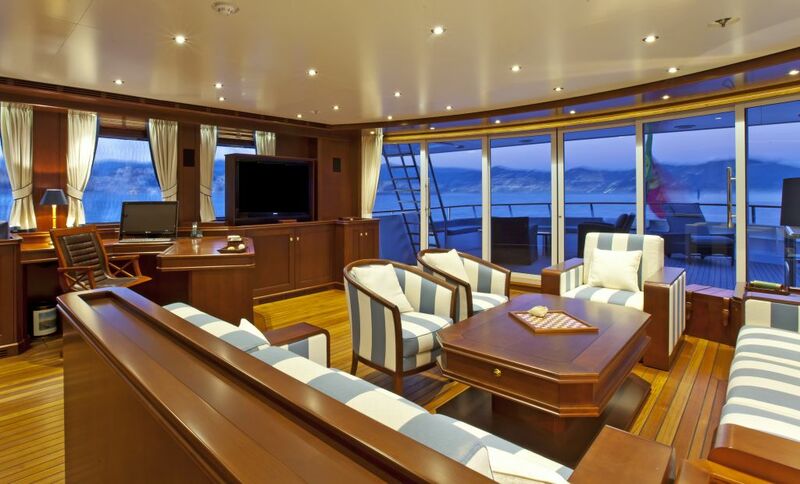 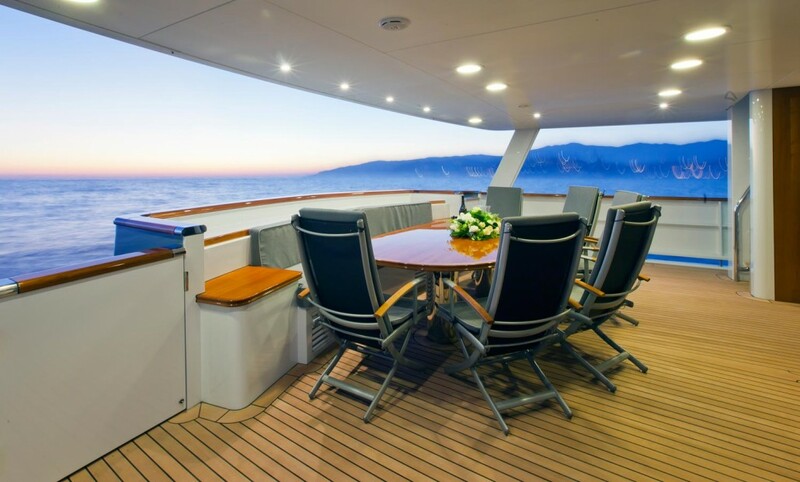 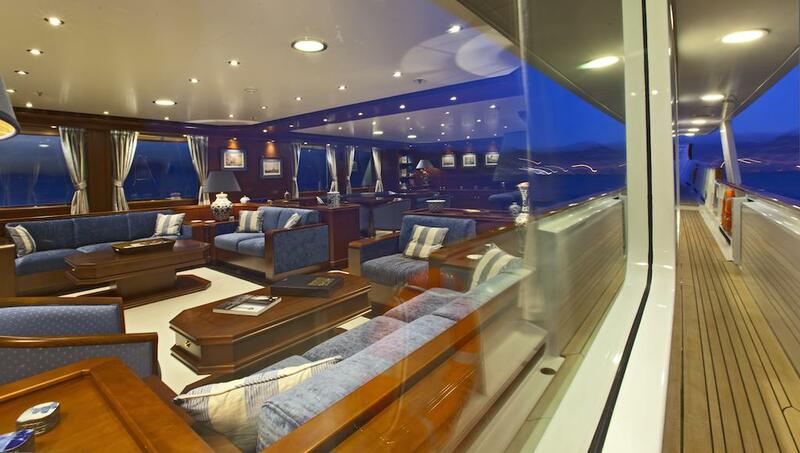 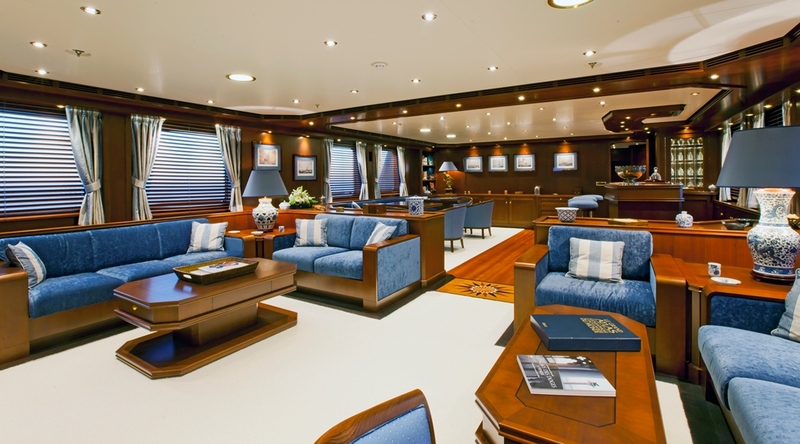 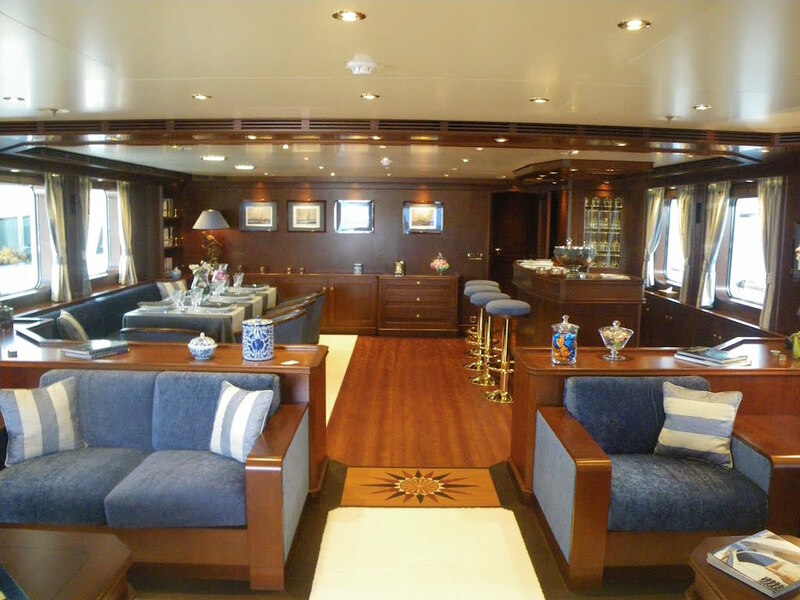 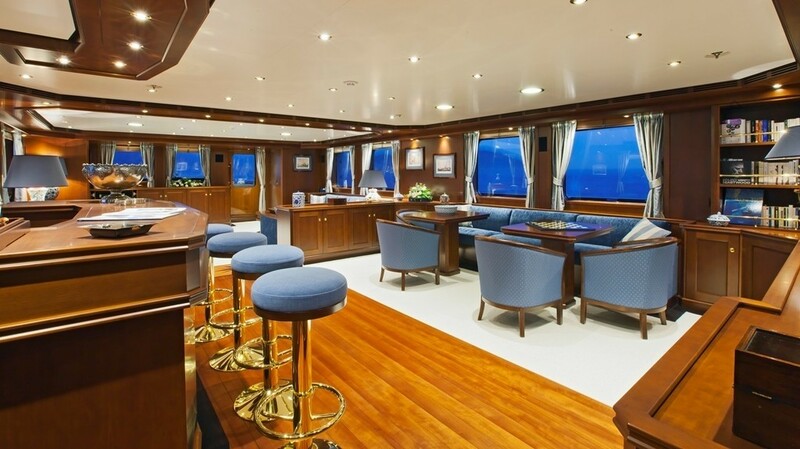 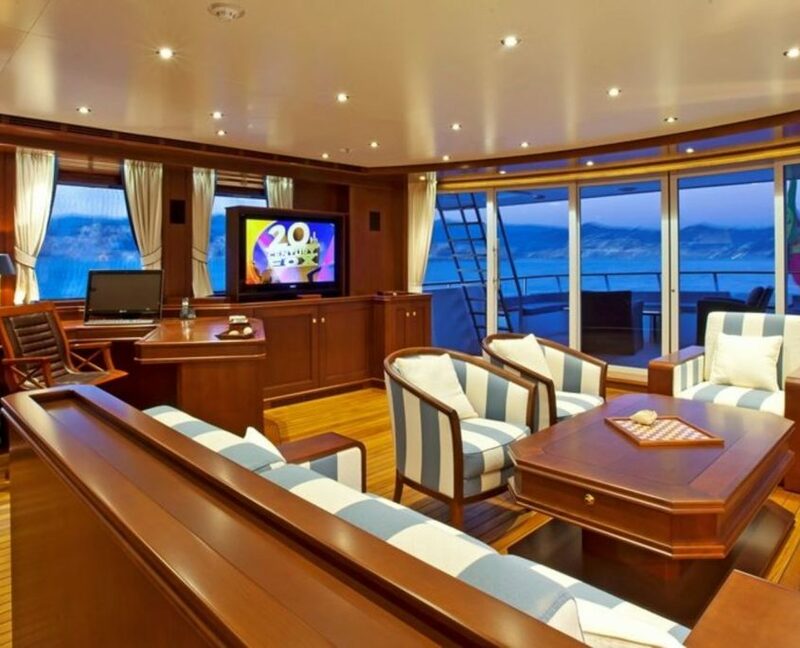 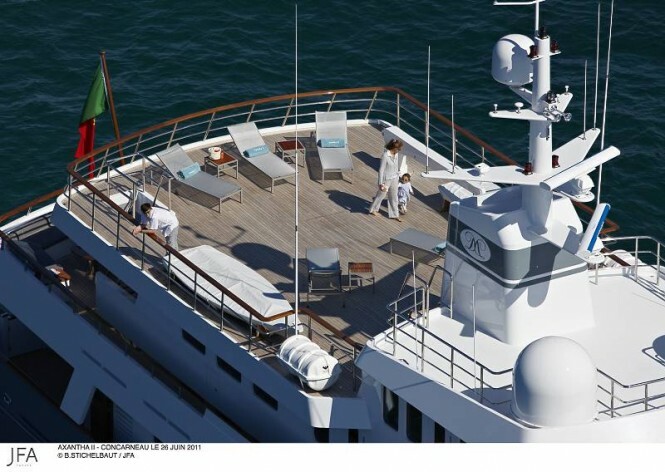 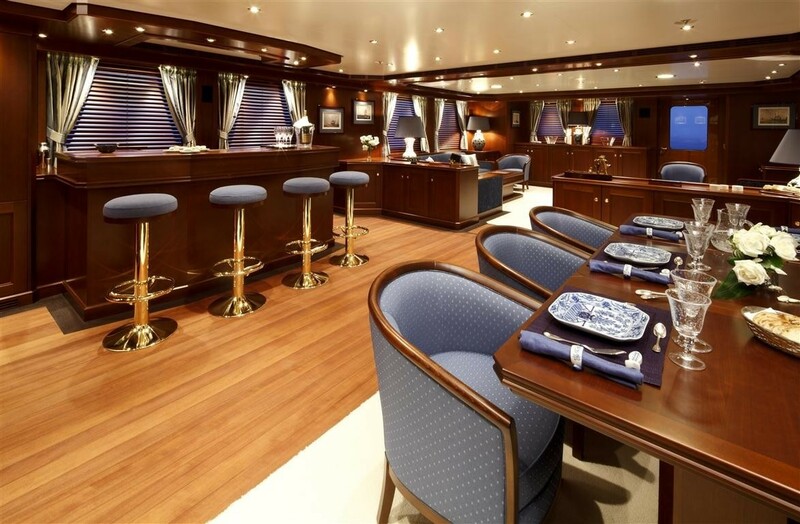 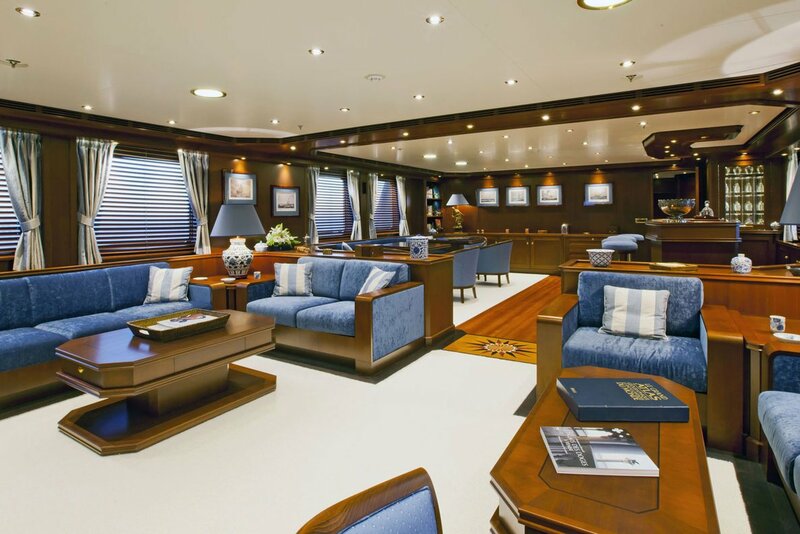 The main deck boasts a large lounge/dining area with wide openings. 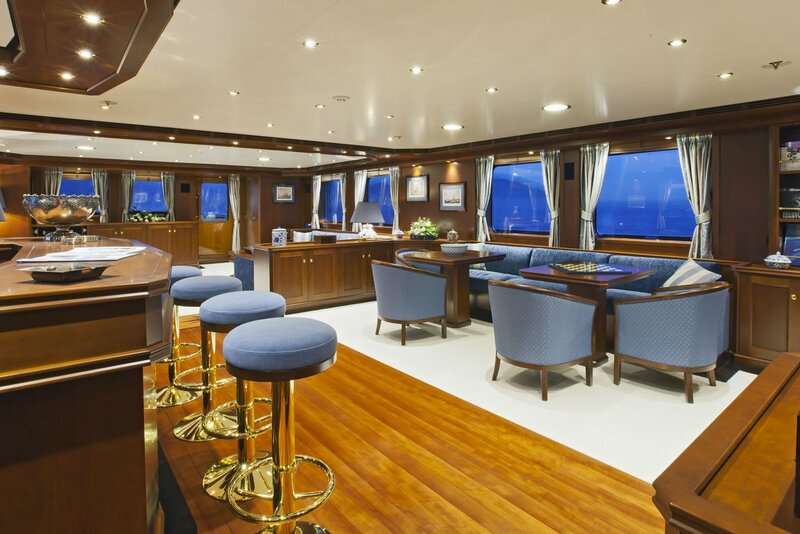 There is a large door through which the guest can access the outside lounge area with a bar. 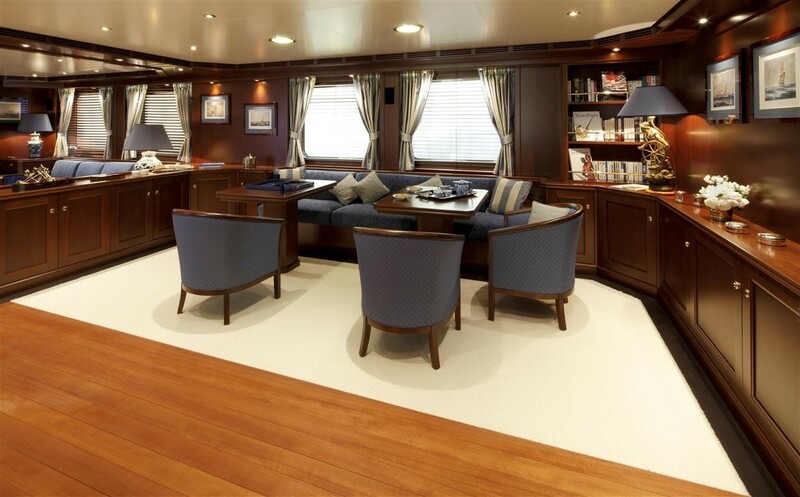 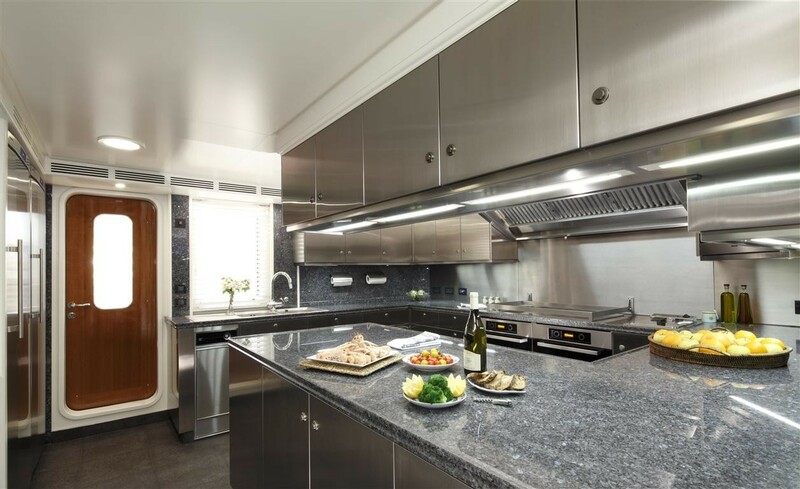 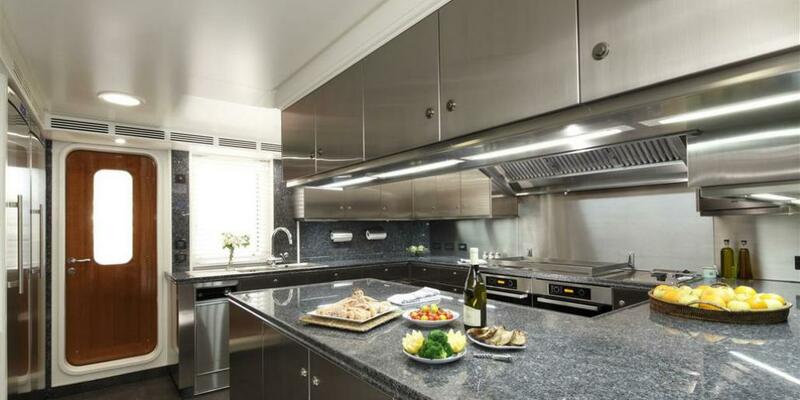 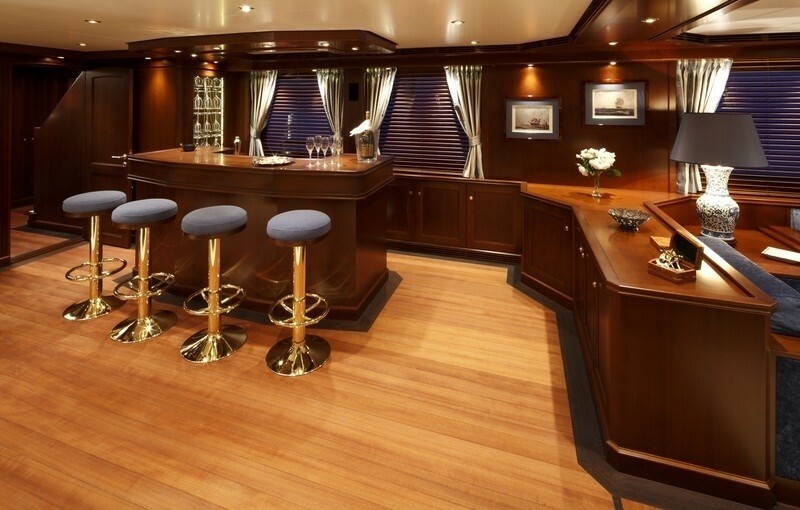 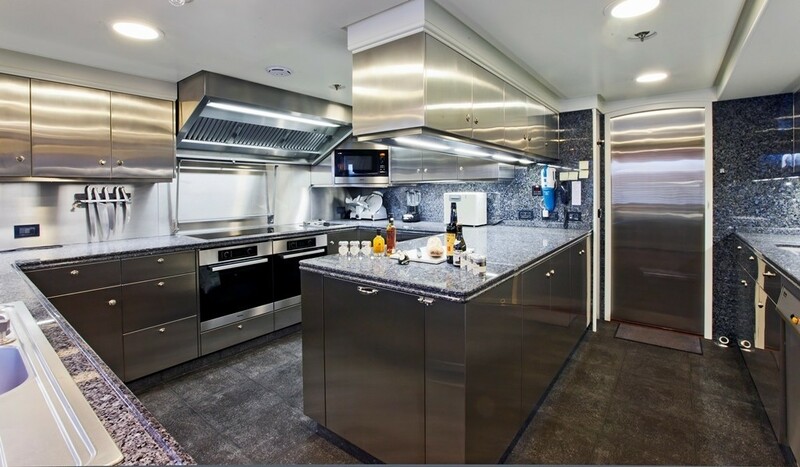 The galley can be found on the same deck, forward of the lounge/dining room. 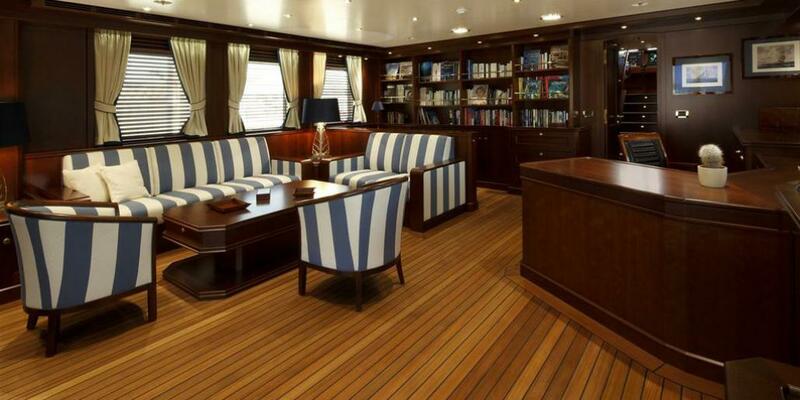 AXANTHA II a large lounge/study/library. 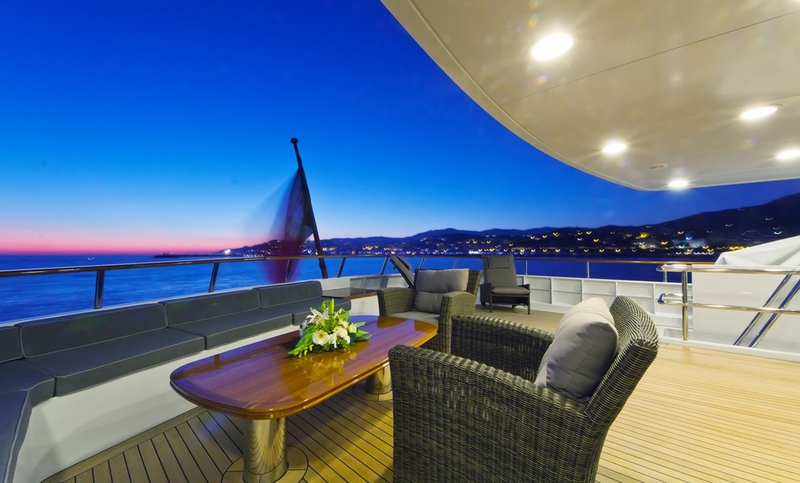 This area is equipped with a fully glazed semicircular door that opens fully to almost the entire width of the superstructure, thus linking the interior to the exterior space. 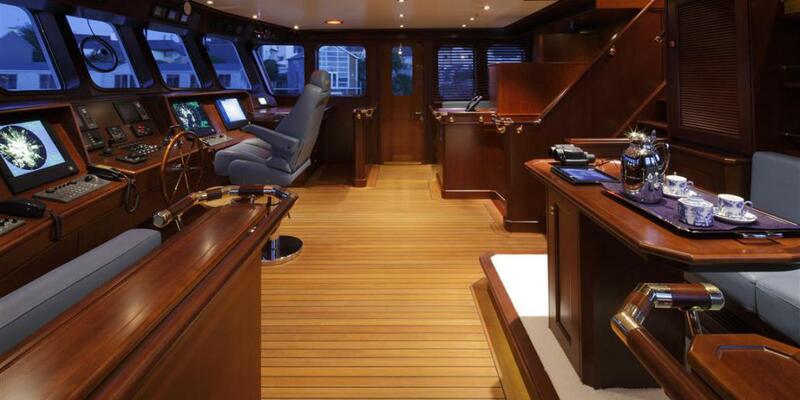 The captain’s cabin and the wheelhouse too are located on this deck. 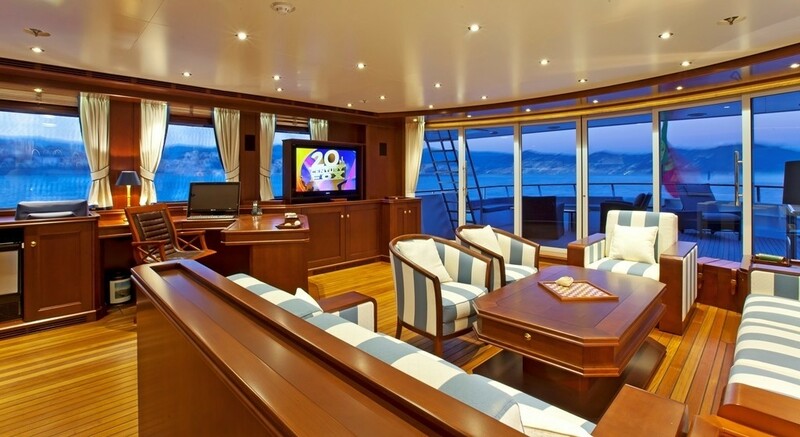 The guests also have access to an observation lounge in the wheelhouse. 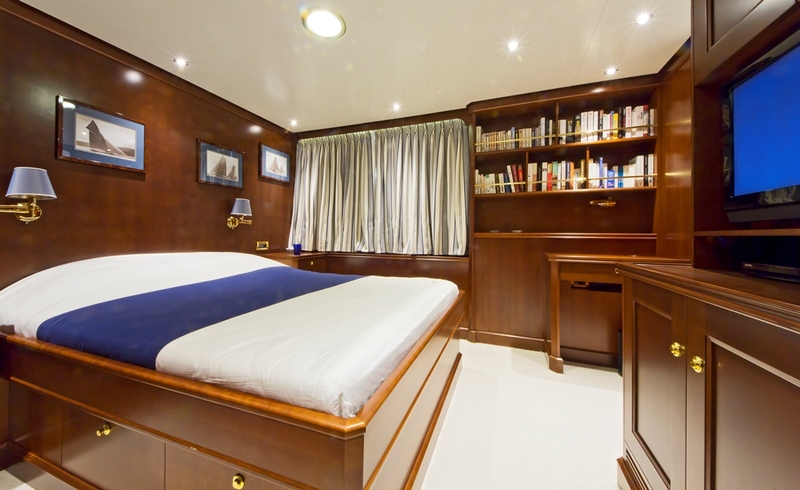 The lower deck features the guest cabins, including three double cabins plus a double cabin with a Pullman bed. 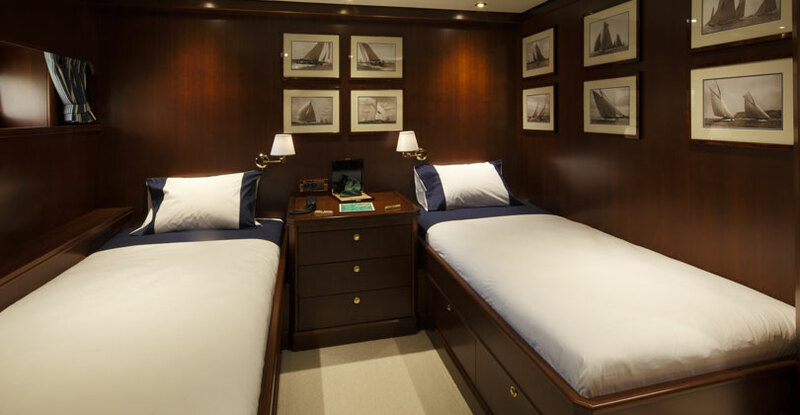 The full beam Owner's suite is located at the center of gravity and has a large bathroom and a very spacious dressing area. 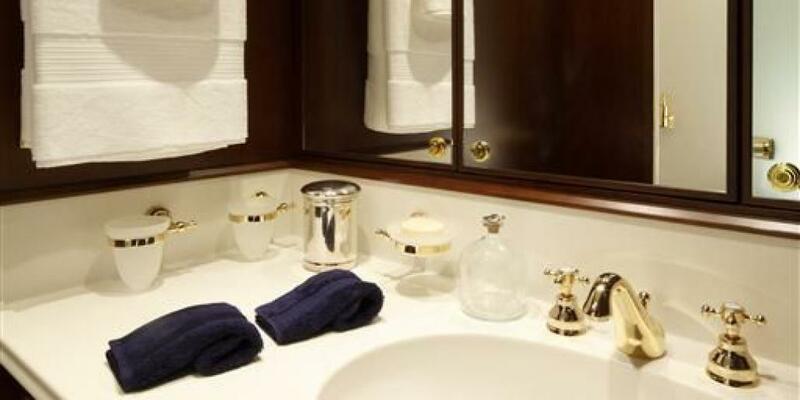 The laundry room is located forward of the guest area and allows the separation of this area from the crew area located forward. 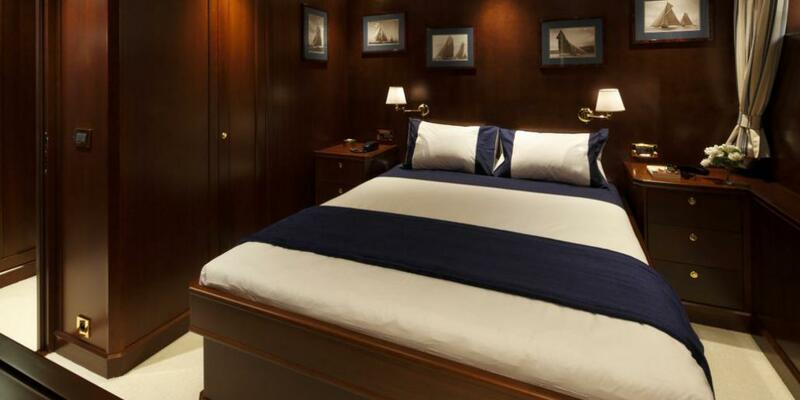 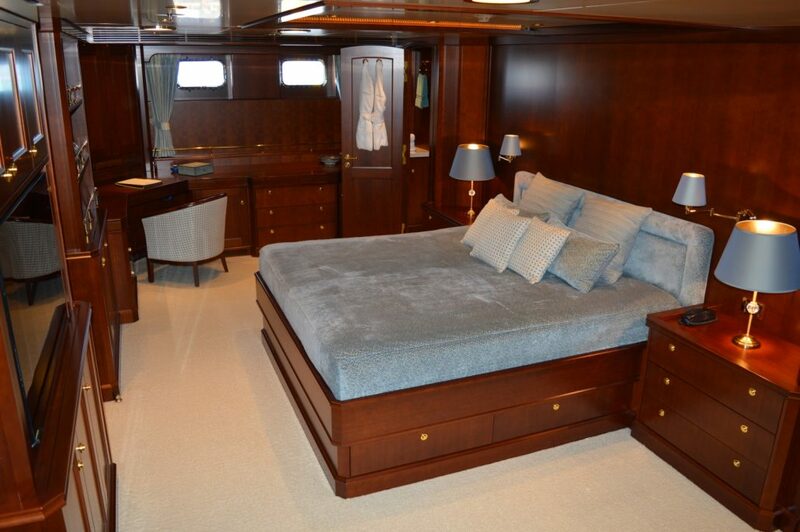 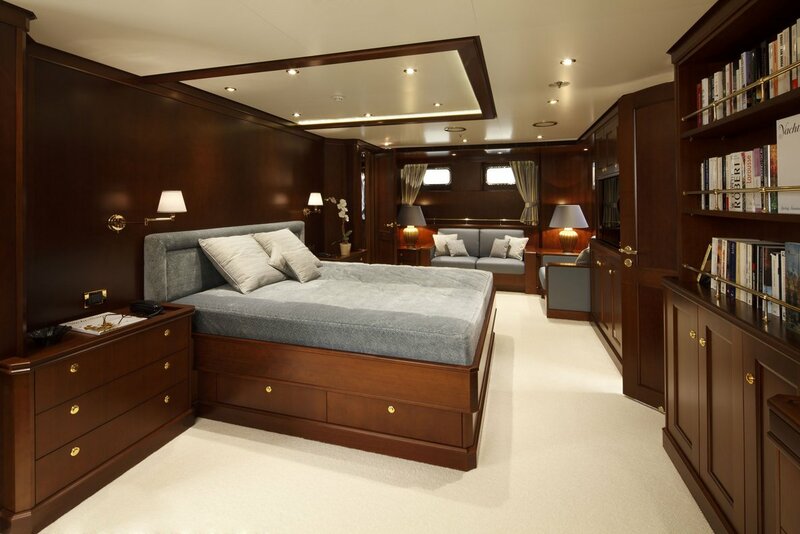 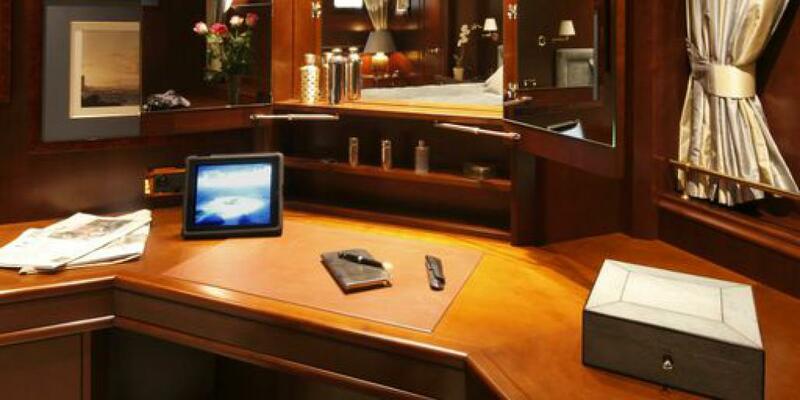 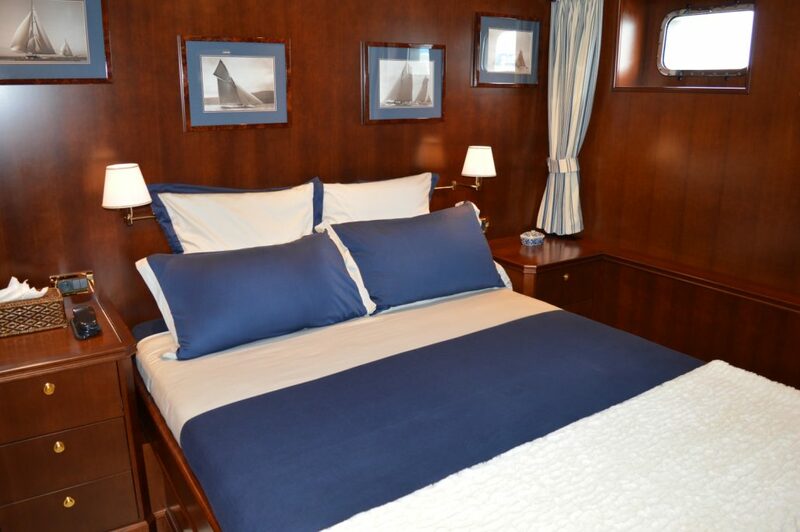 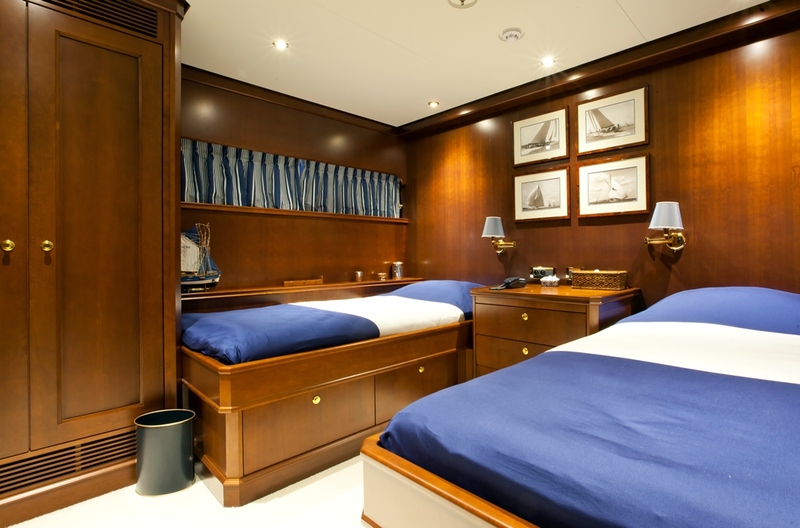 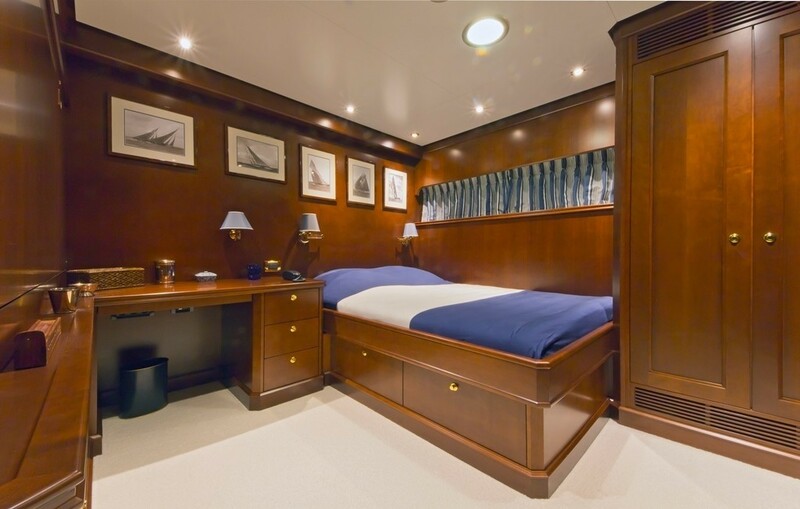 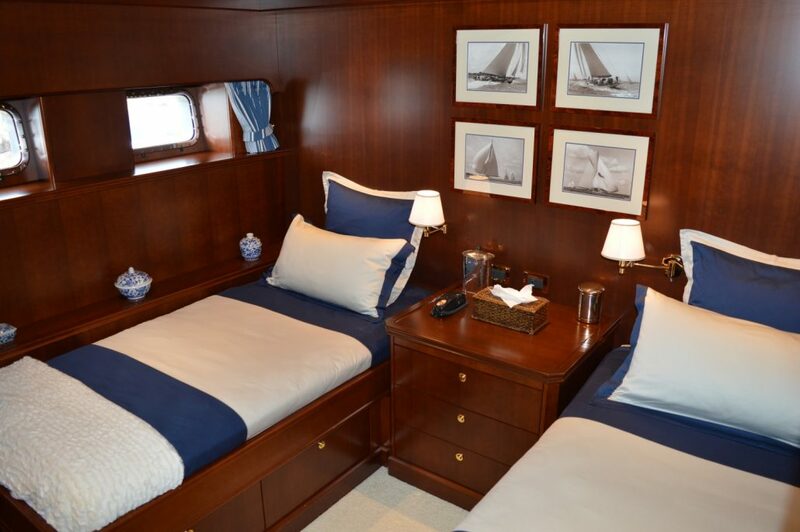 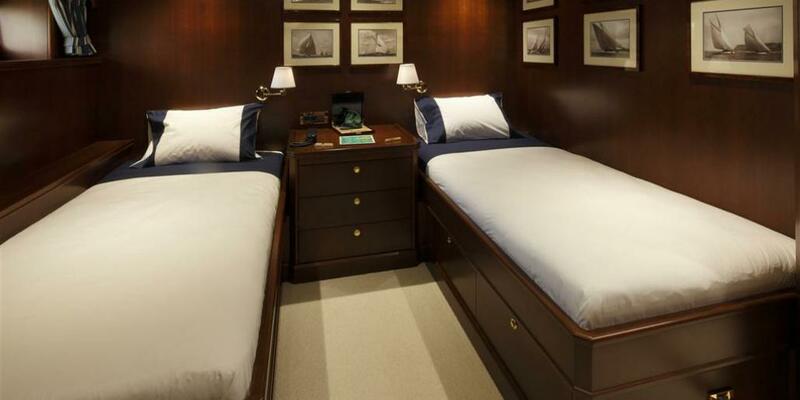 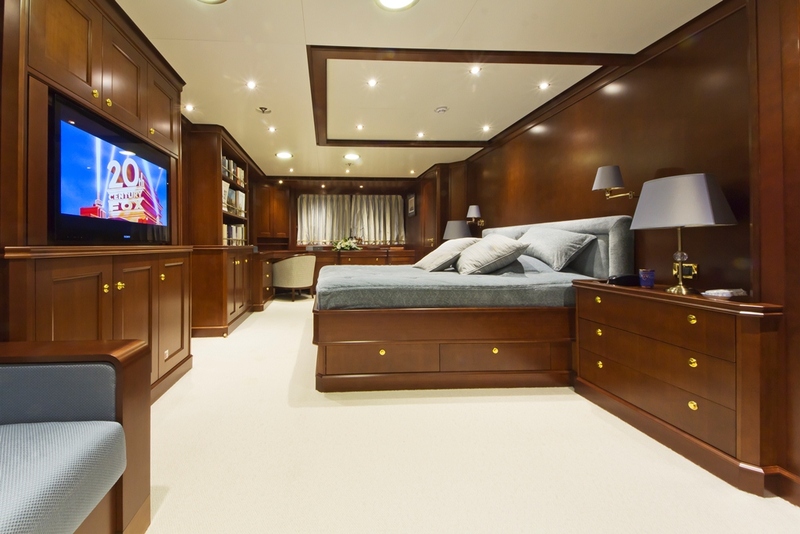 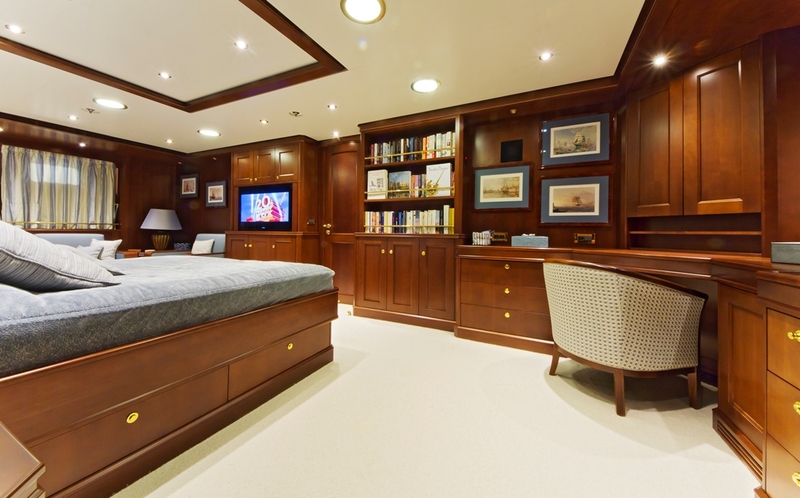 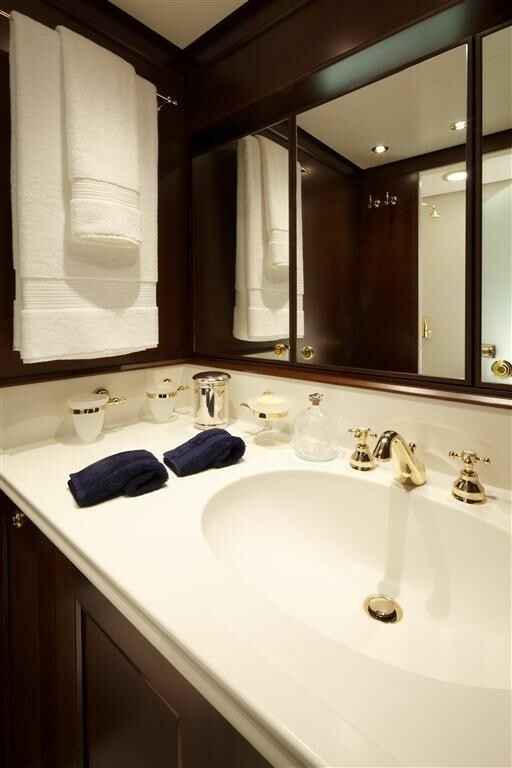 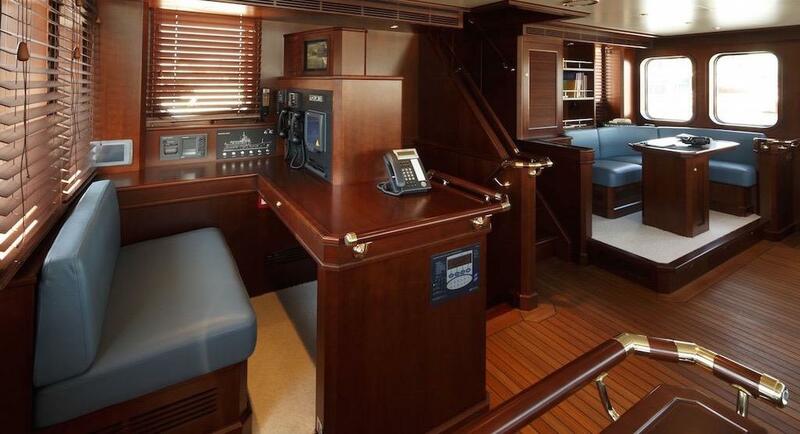 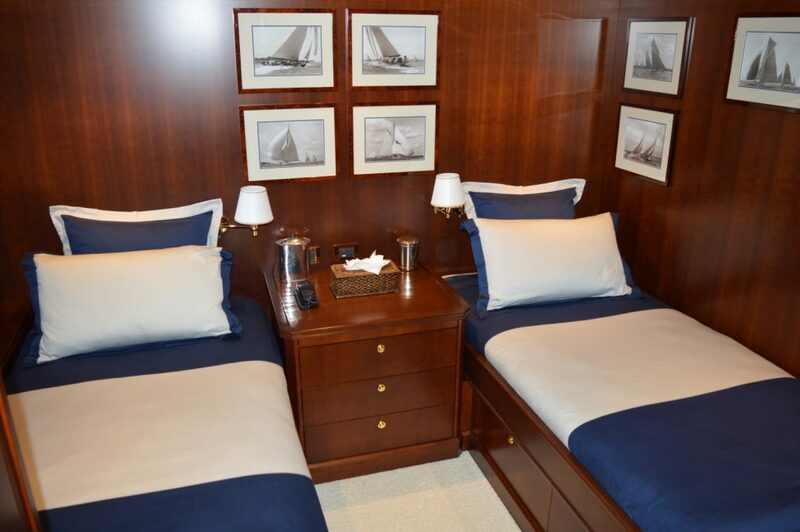 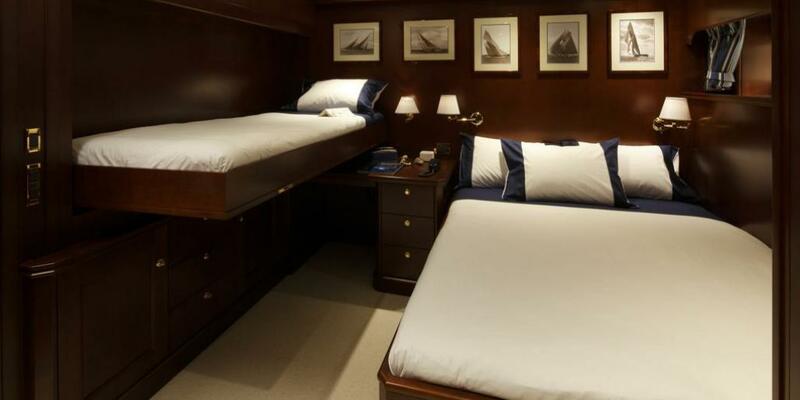 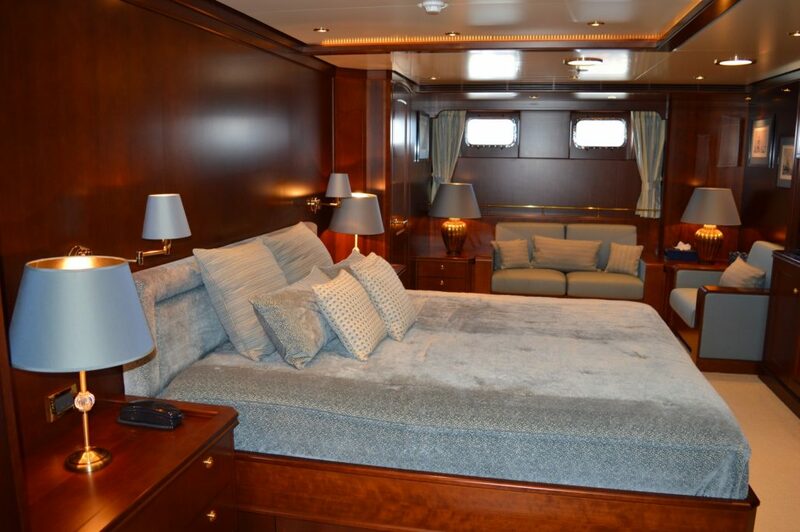 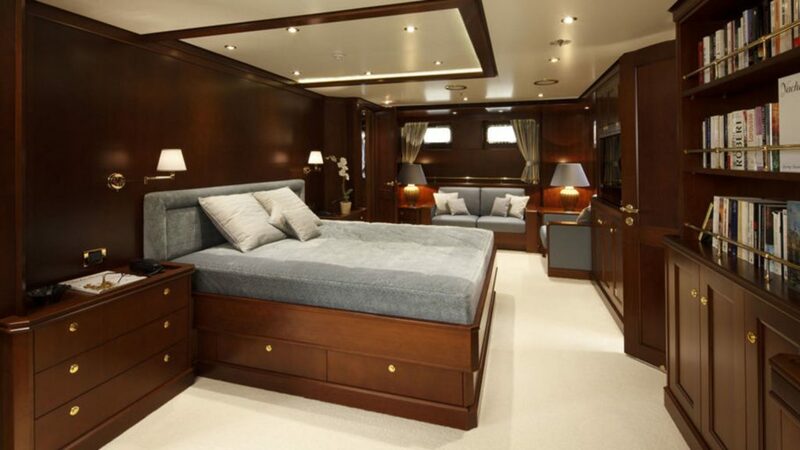 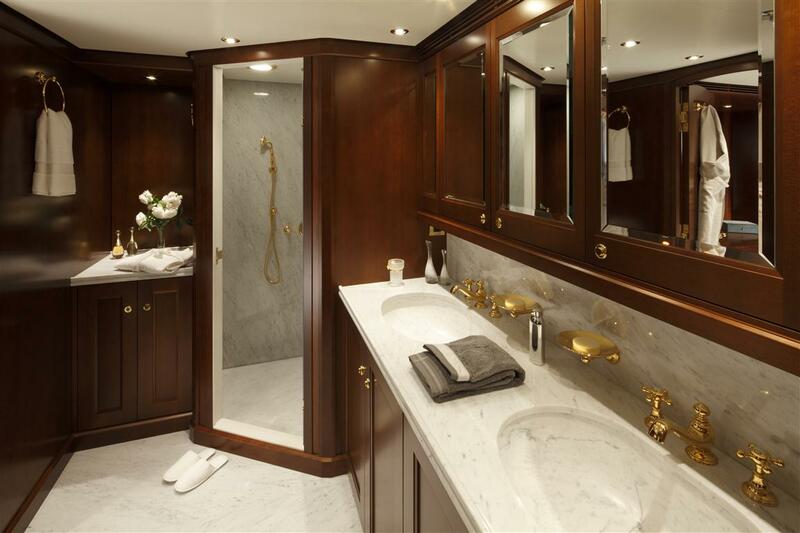 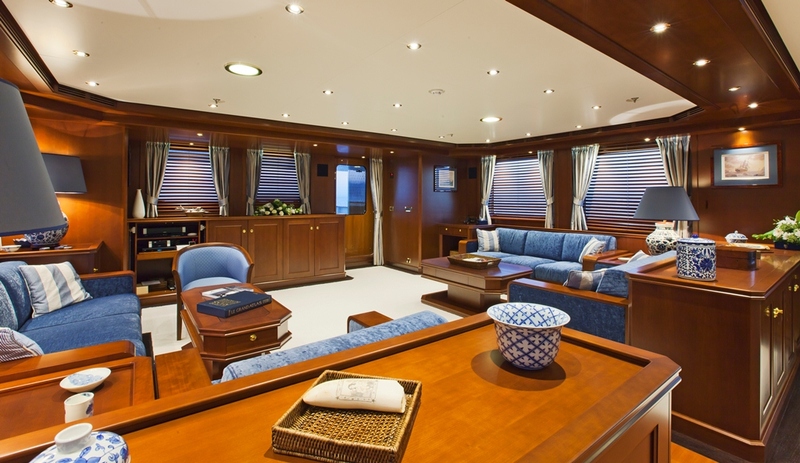 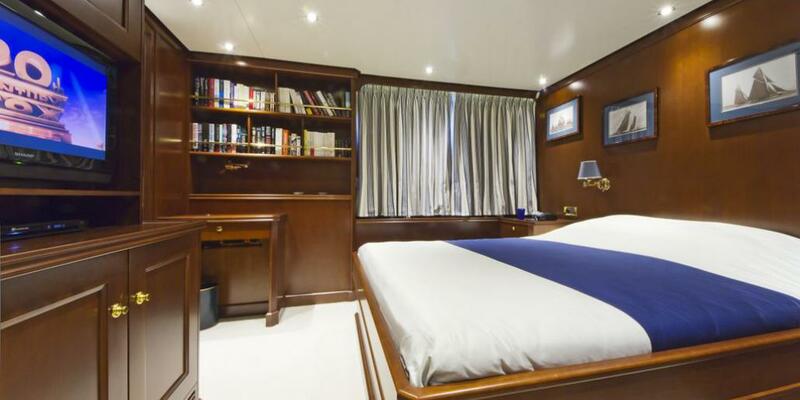 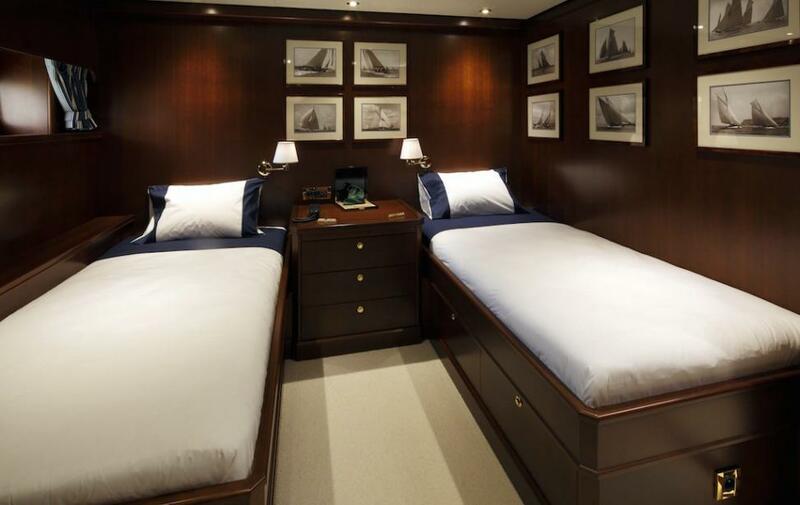 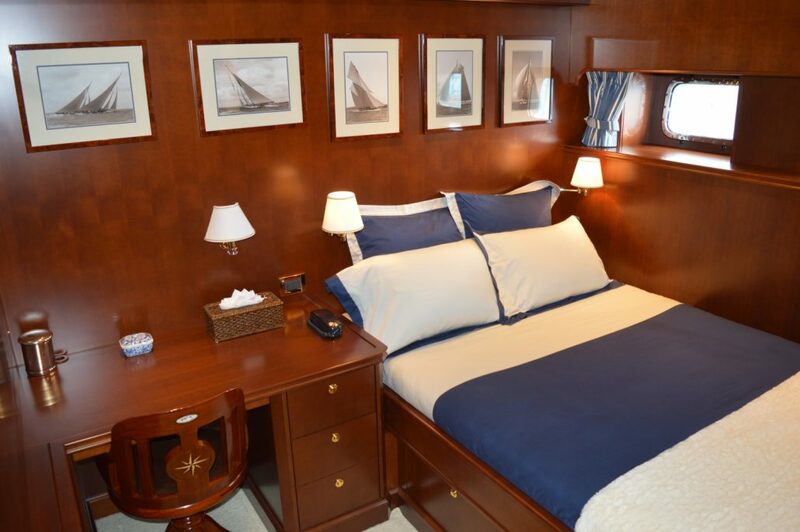 The crew quarters feature four cabins and the crew mess and are accessible through the tender deck. 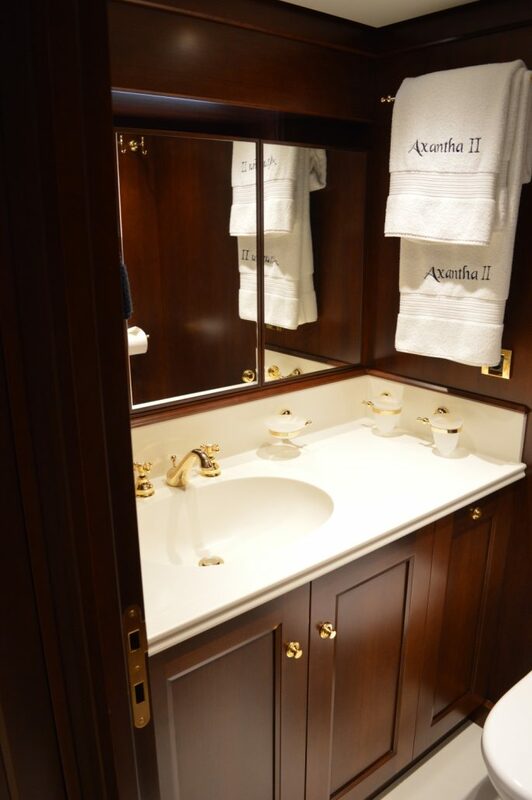 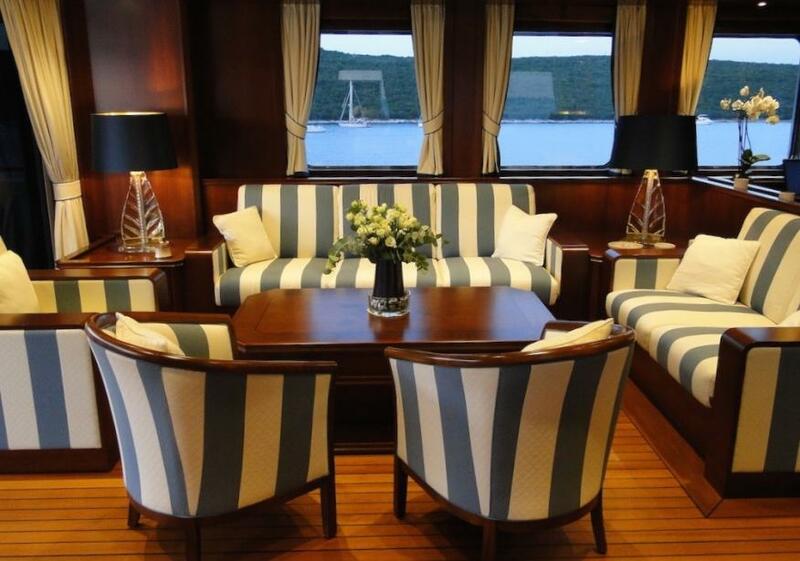 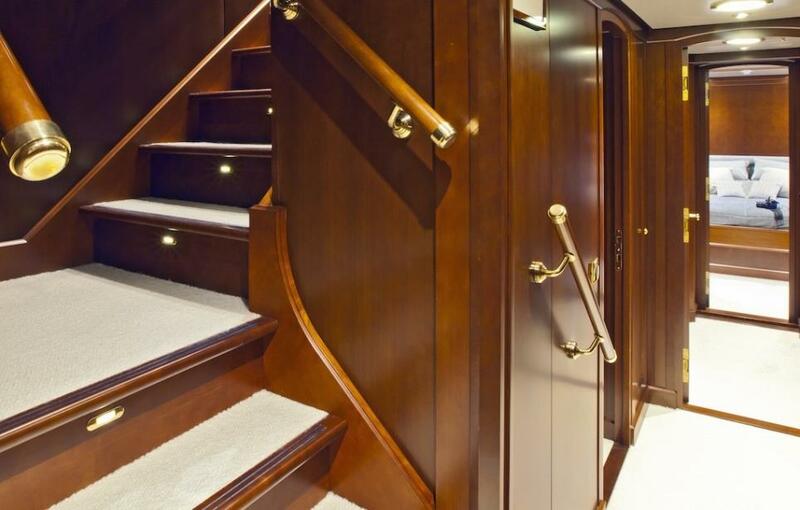 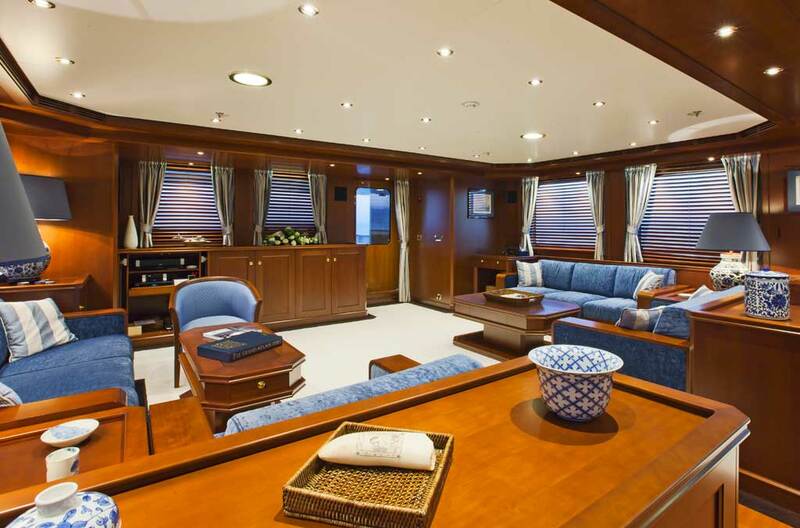 JFA built AXANTHA II Yacht, which amounts to no less than 340 square meters of interior arrangements, can comfortably accommodate ten guests and eight crew members. 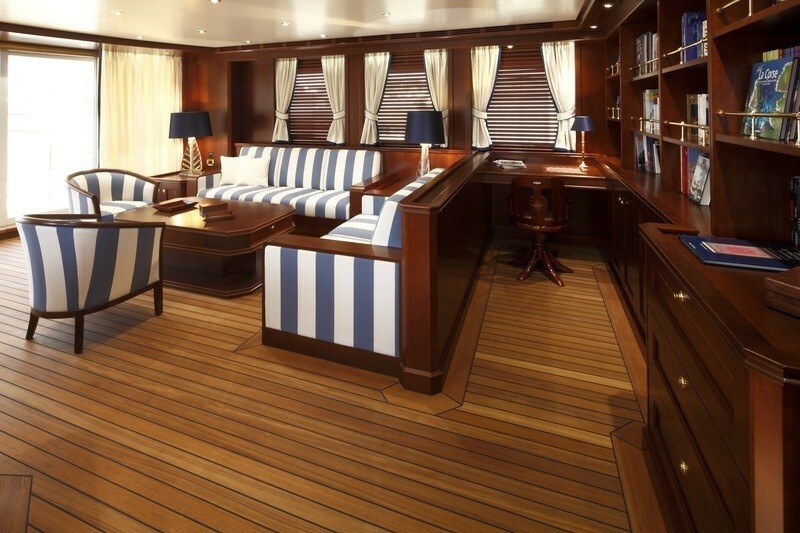 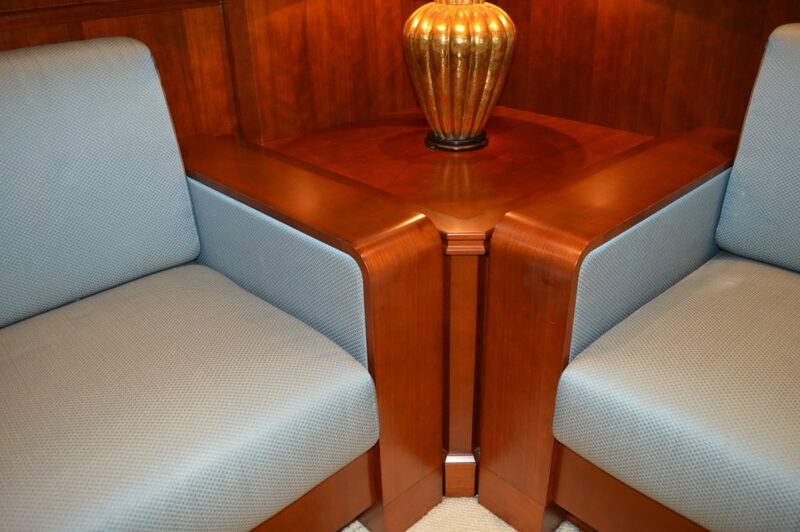 The interior layout is made in stained cherry wood, the floors, in either teak or douka, are accented by a wenge edge. 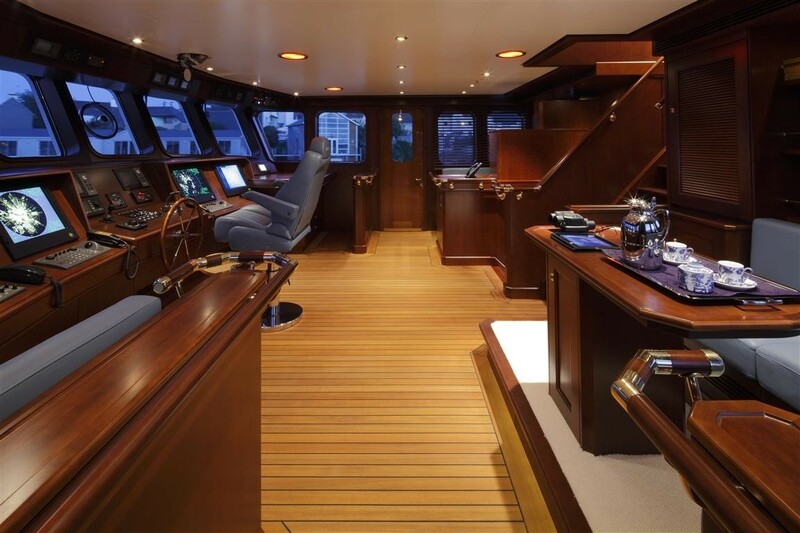 Great care was paid to sound, and vibration insulation, the sound levels measured in various zones attest to an extremely quiet boat. 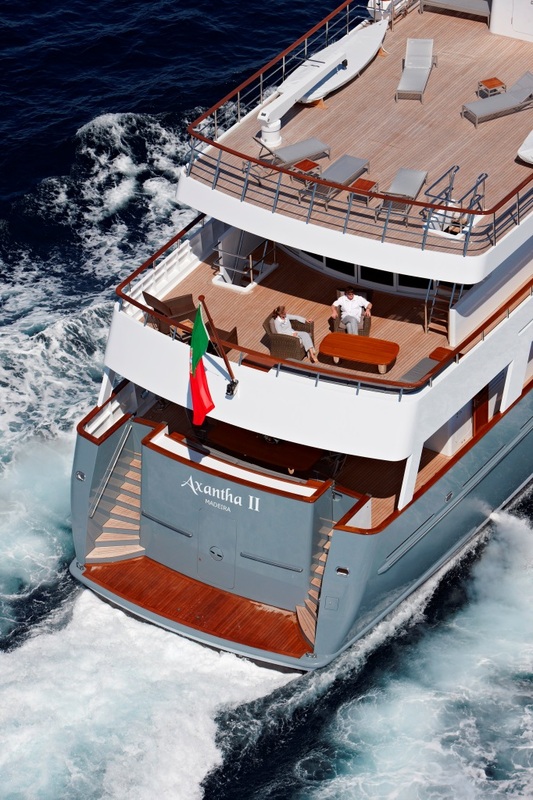 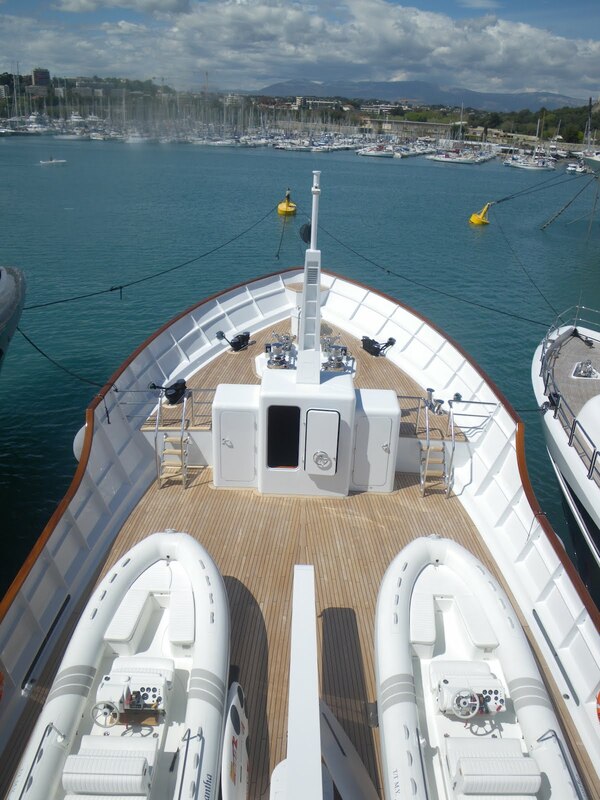 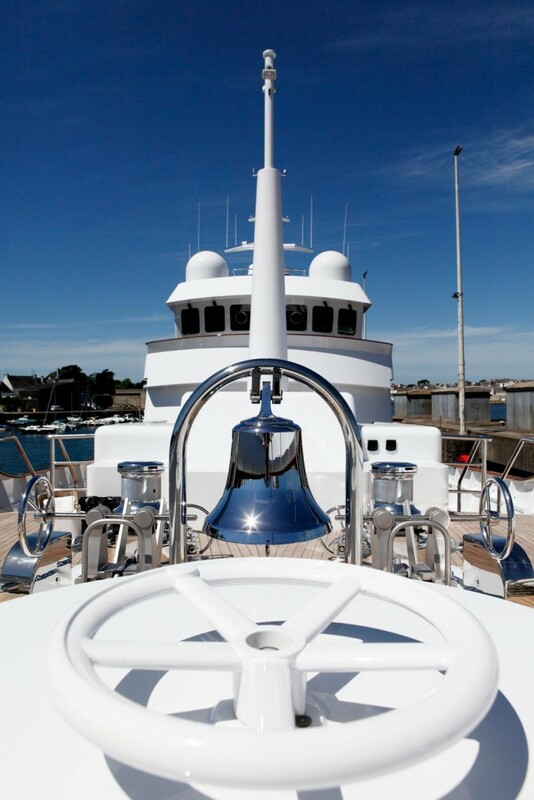 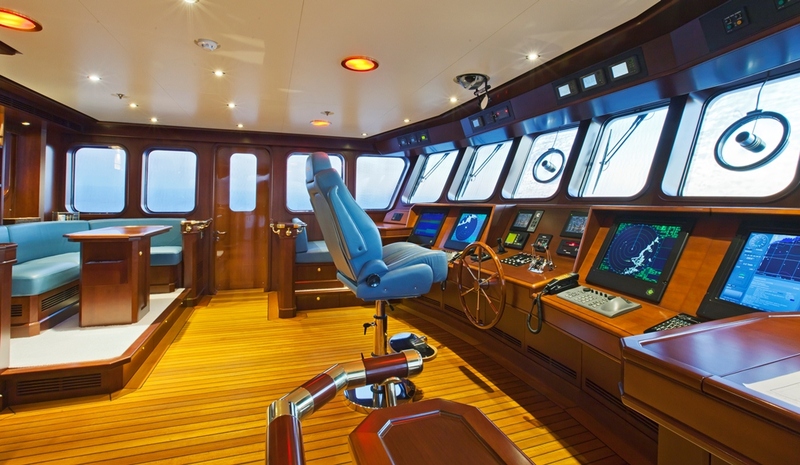 From the technical point of view, AXANTHA II has a spacious engine room, allowing for easy maintenance of all equipment. 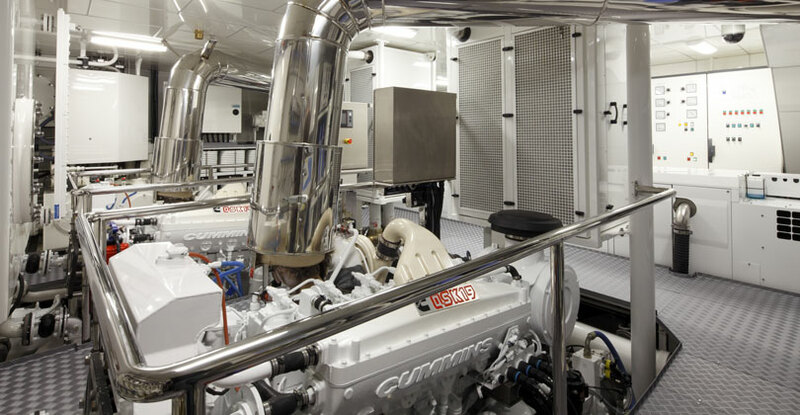 It includes two 750hp Cummins engines and 3 Onan generators (2×80 kW + 1x50kW). 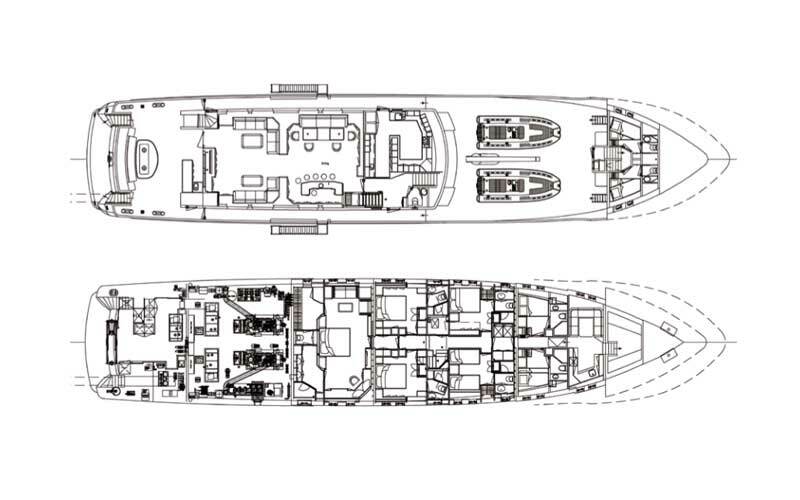 The engine room takes up the entire width of the ship in its aft part. 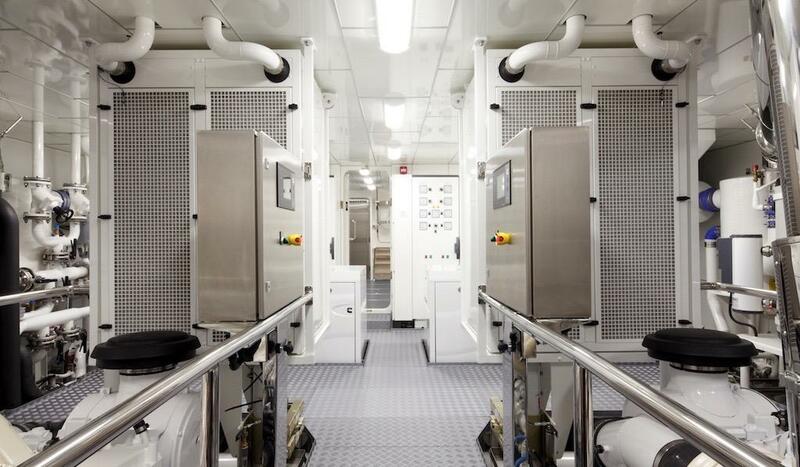 It is extended by a lazaret that houses mainly some storage, but also a workshop equipped with a large workbench. 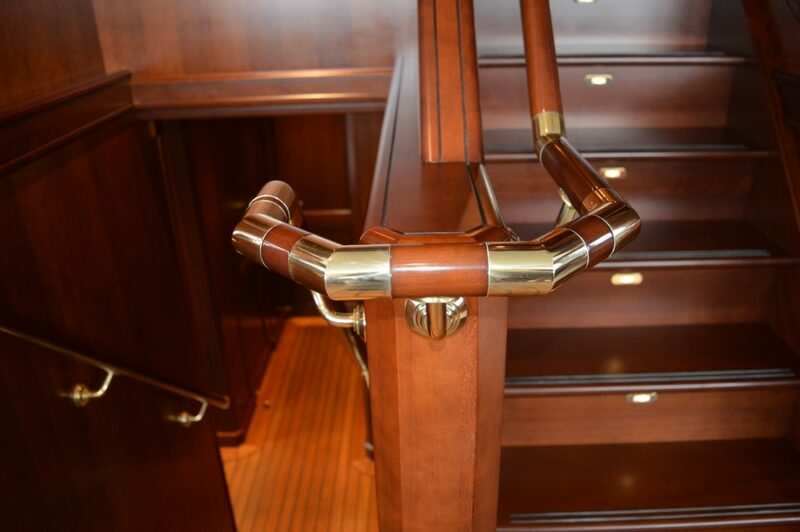 The lazaret whose finish and details were especially meticulous, has direct access to the swim platform. 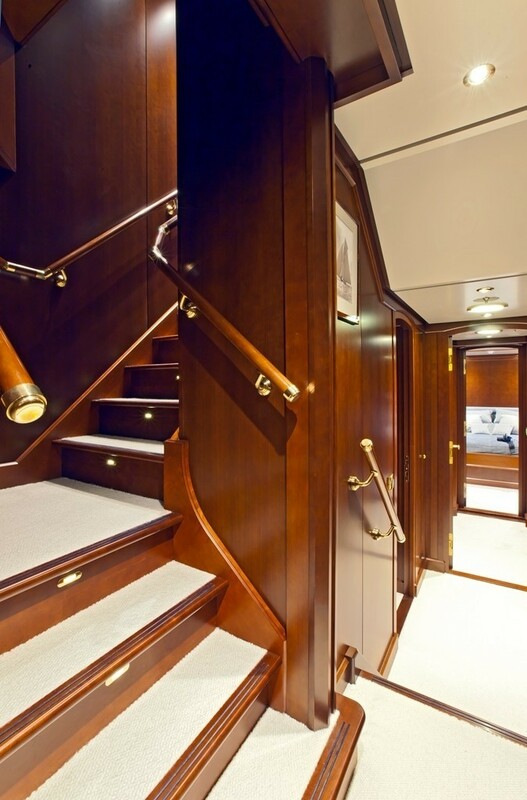 The latter is also accessible by two external staircases. 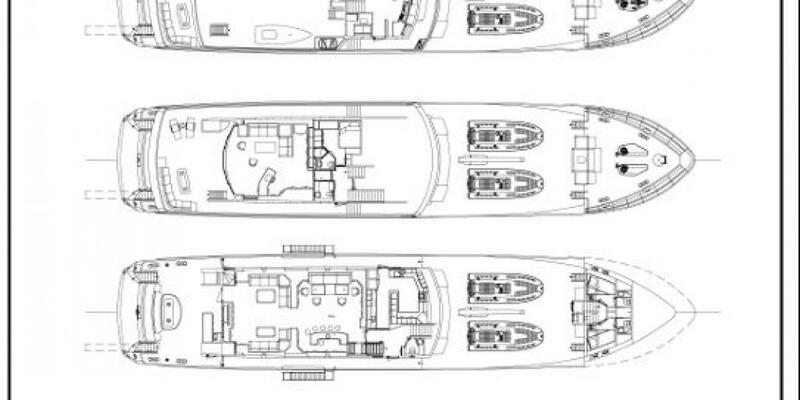 Inspired by the possibility of making long trips with a high level of comfort, this yacht leans upon technical choices that are simple, reliable and reasonable. 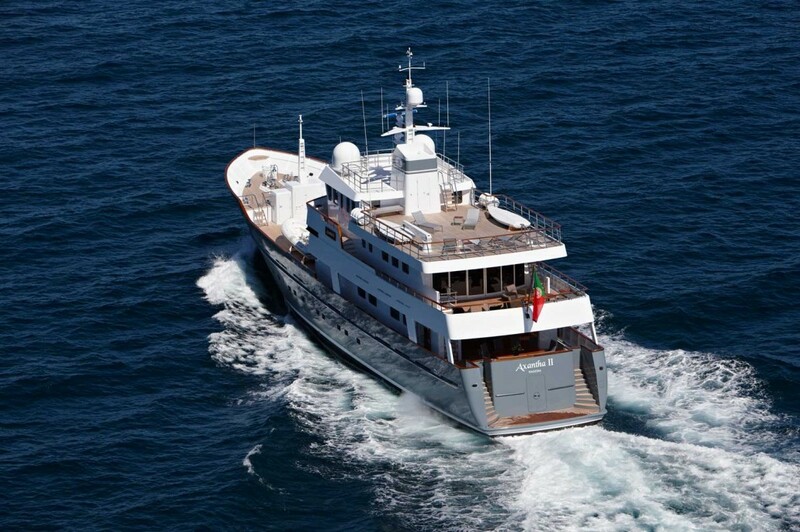 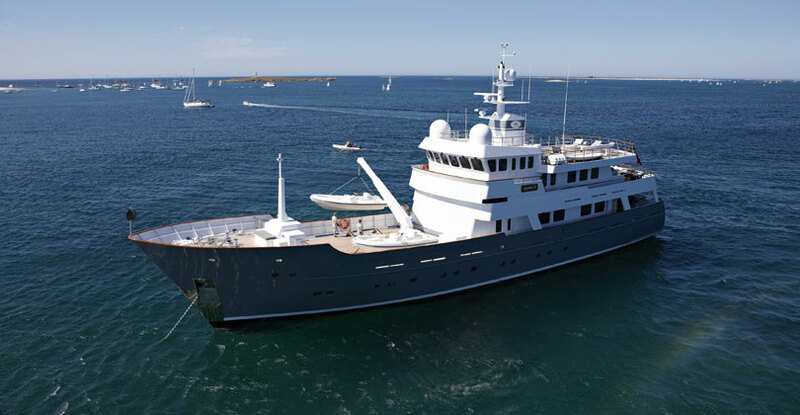 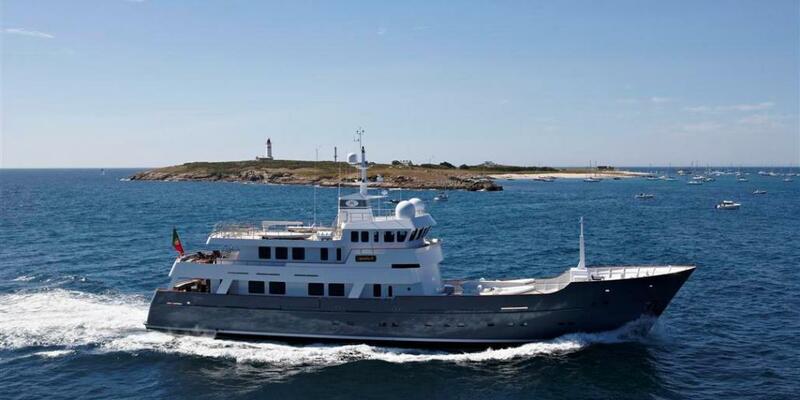 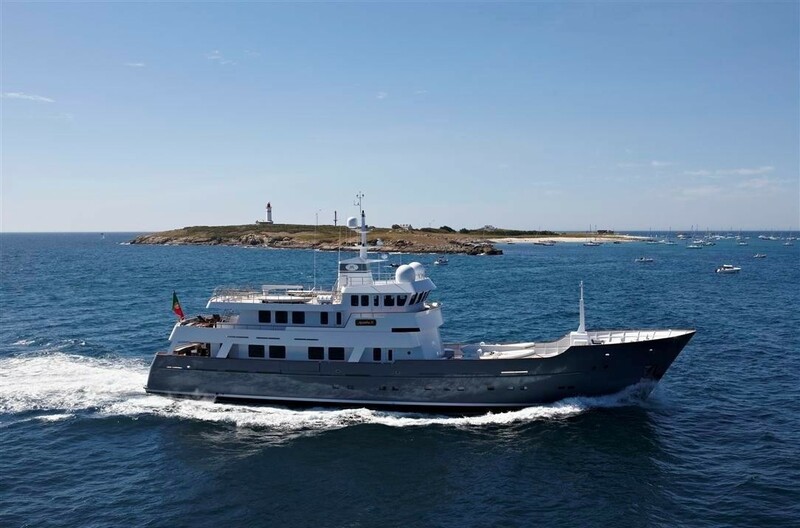 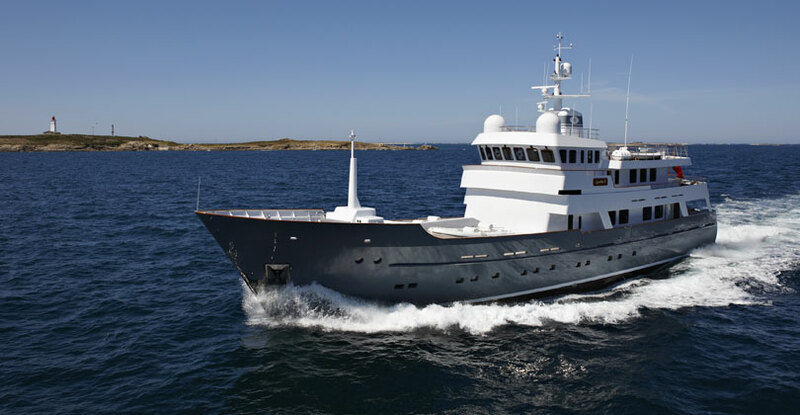 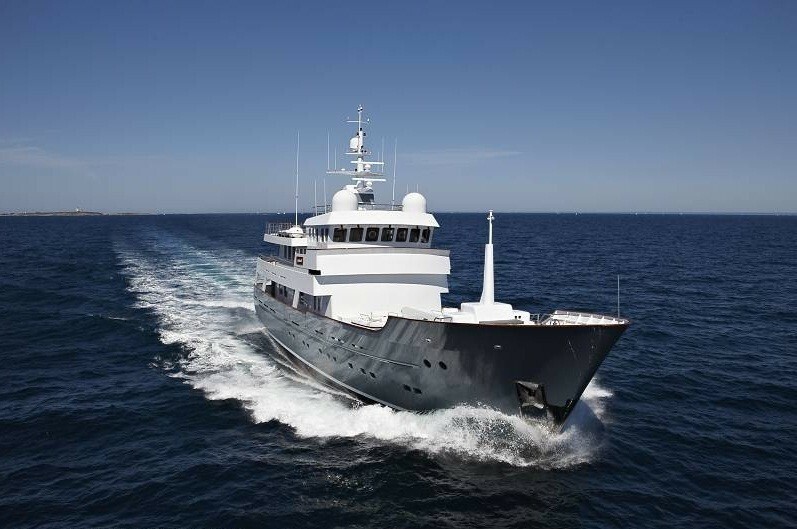 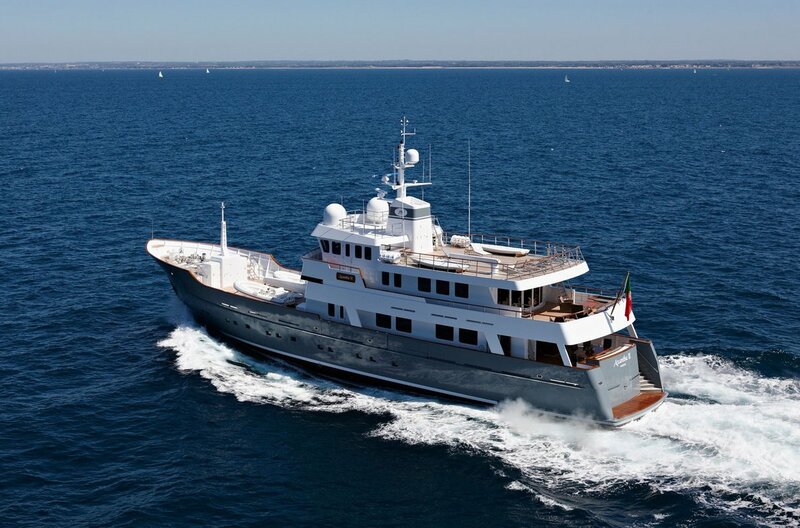 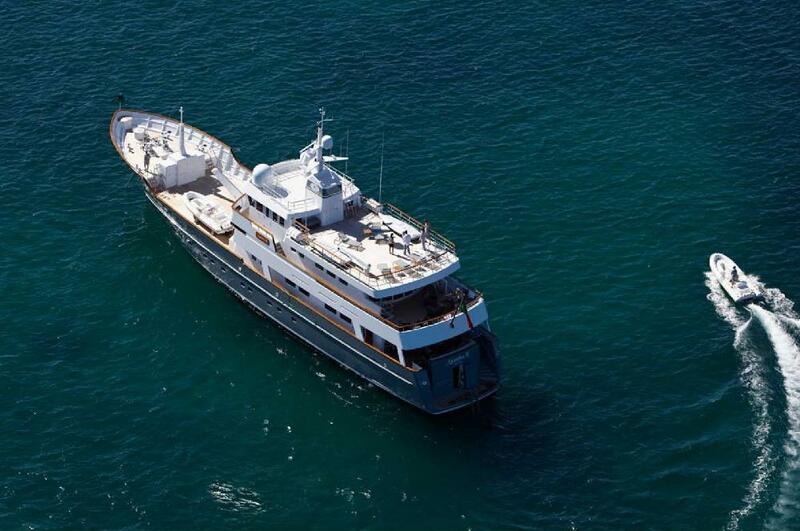 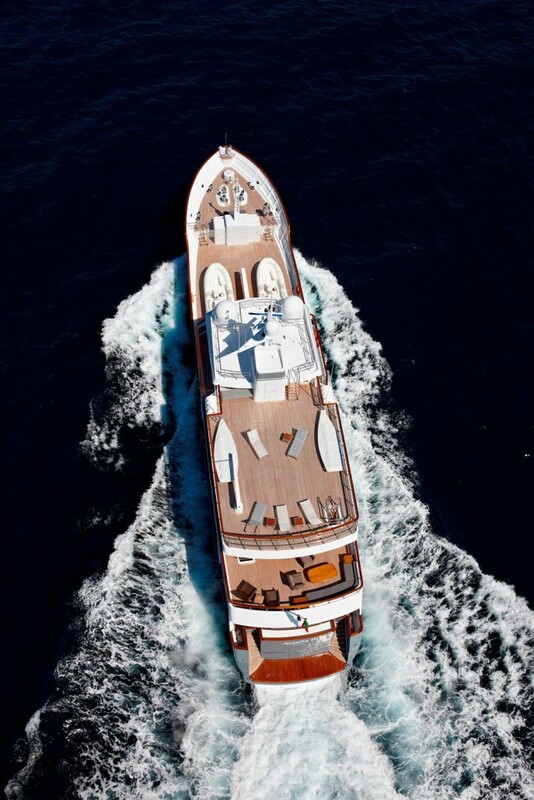 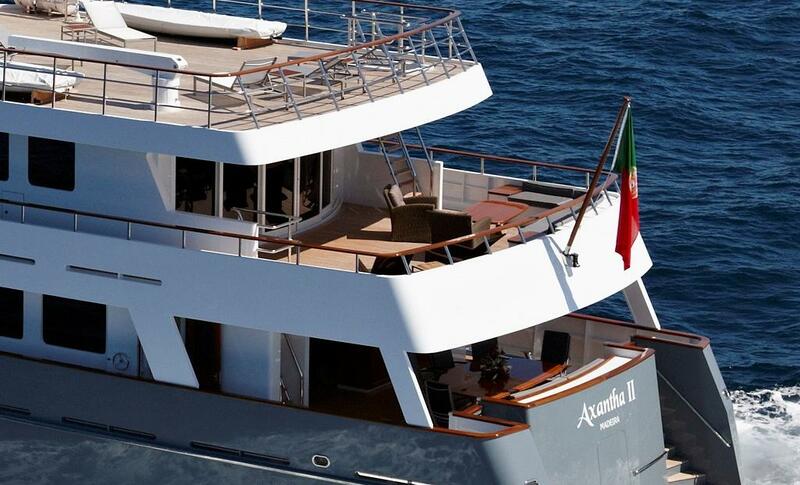 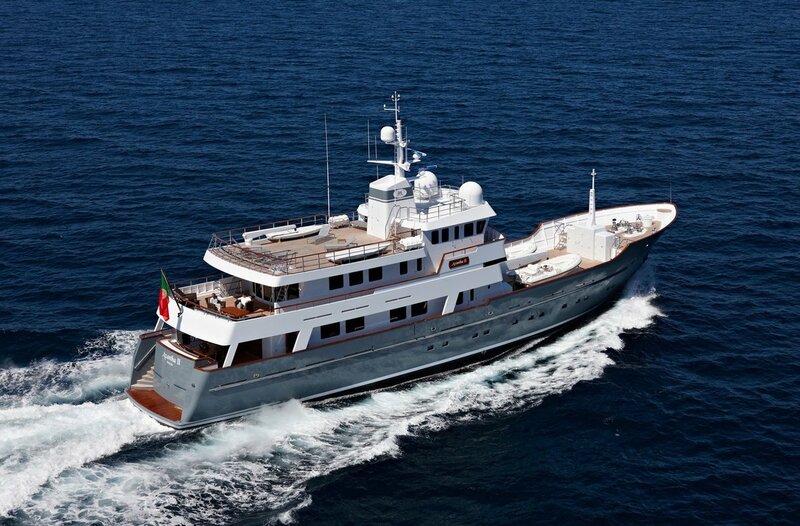 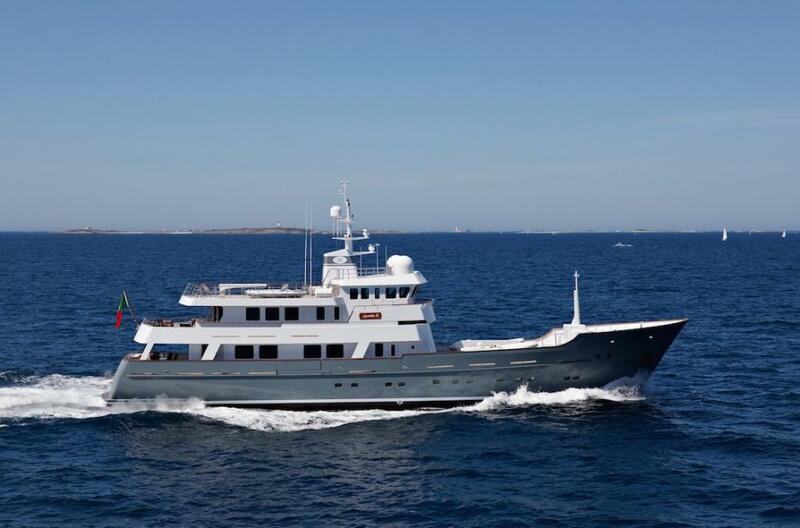 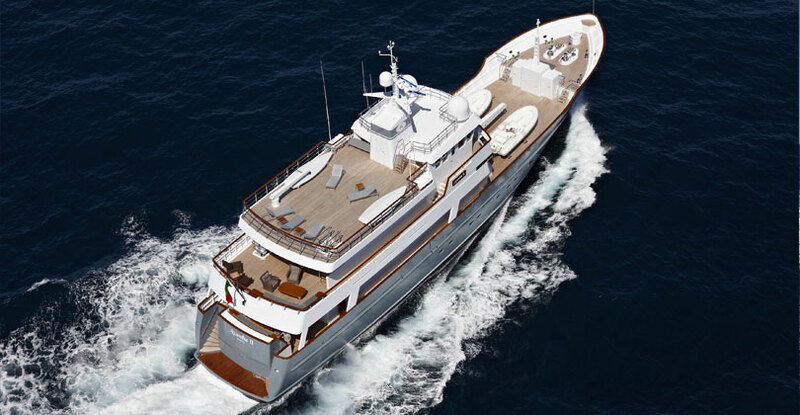 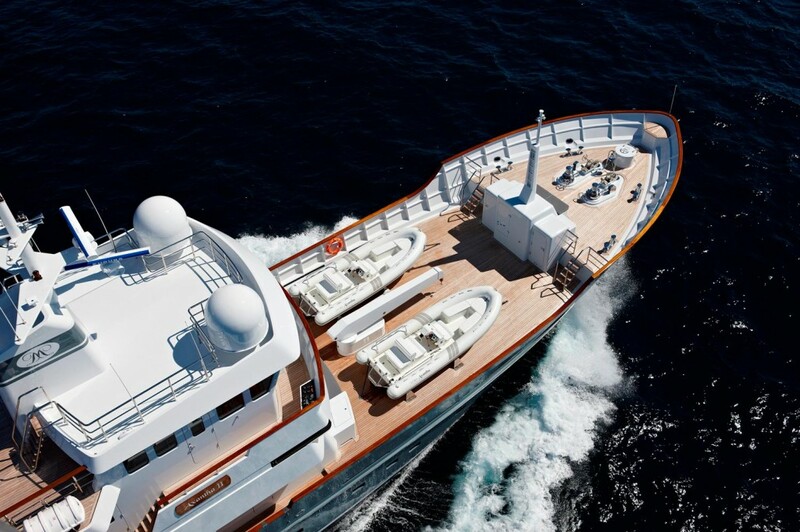 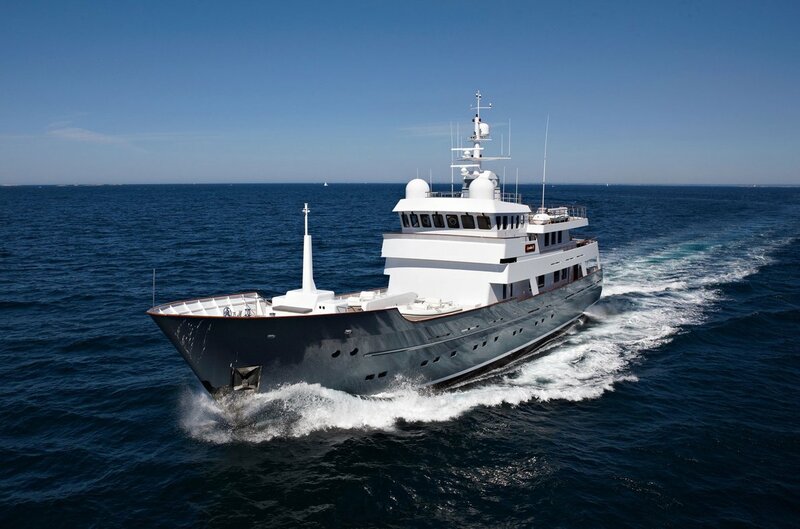 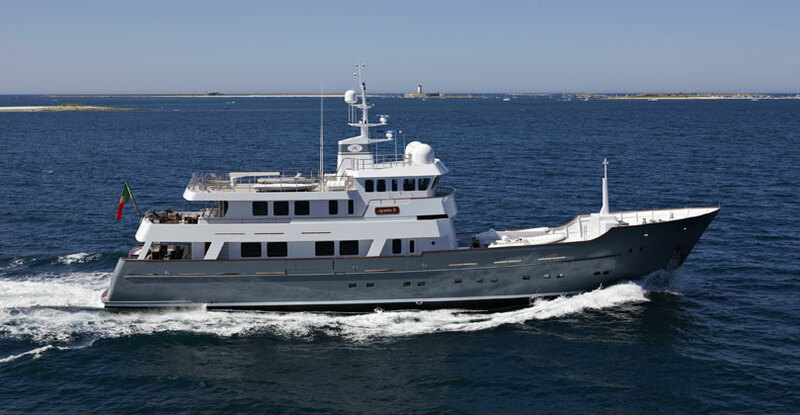 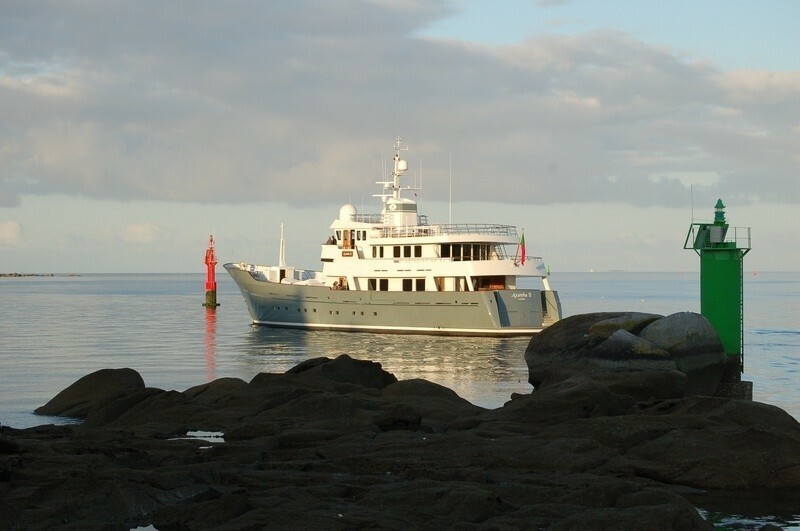 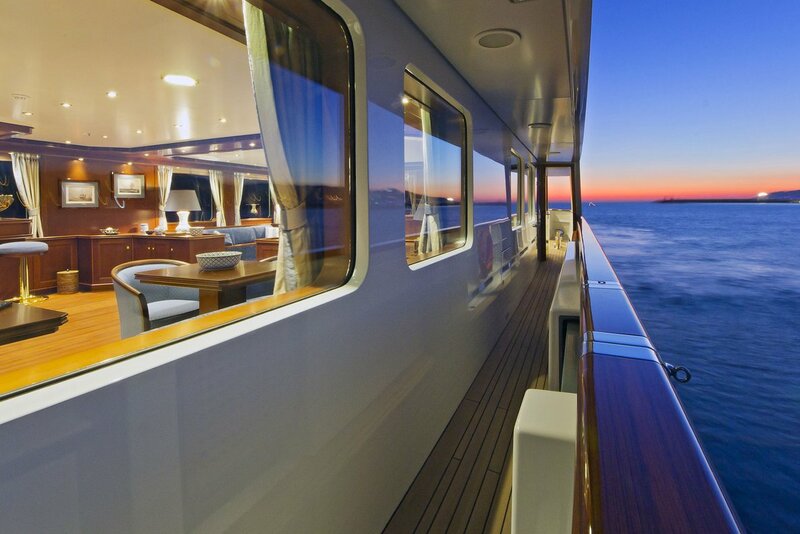 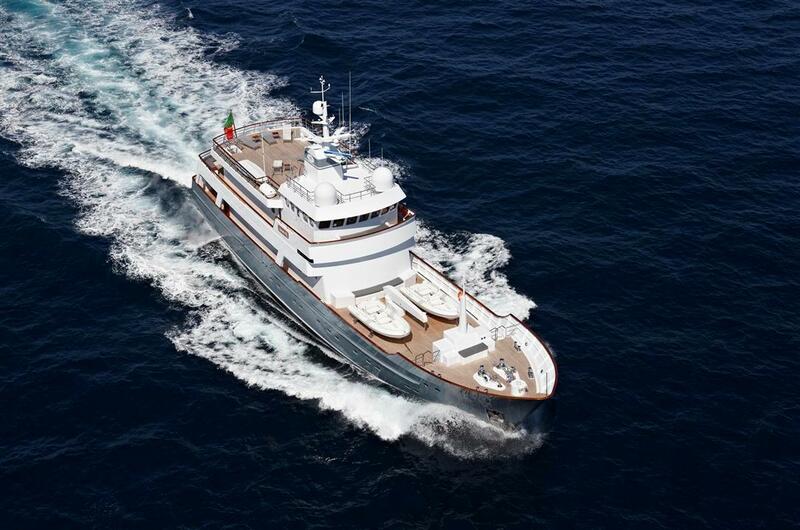 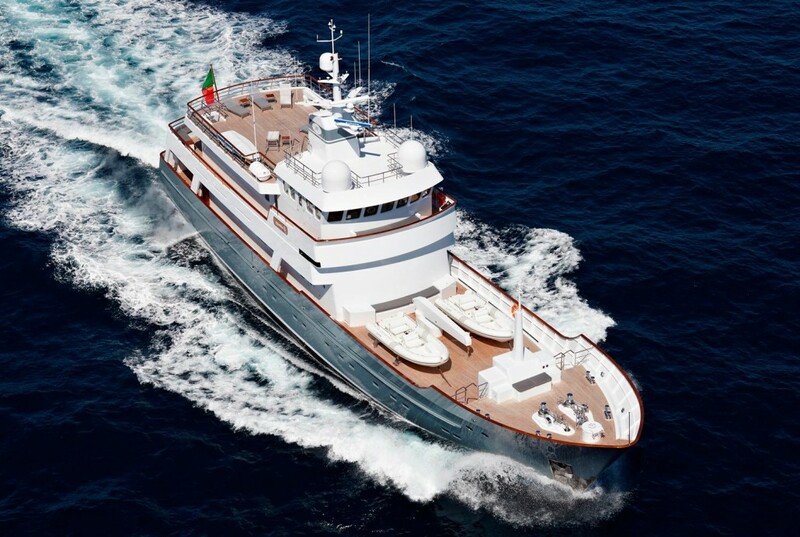 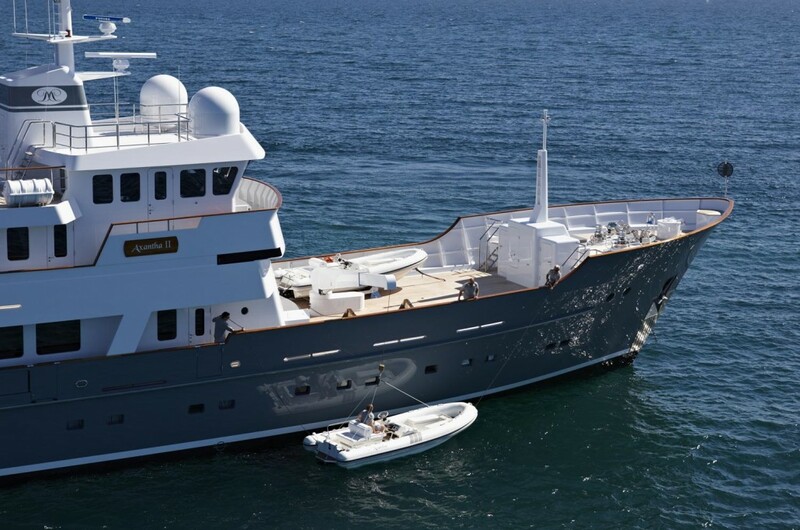 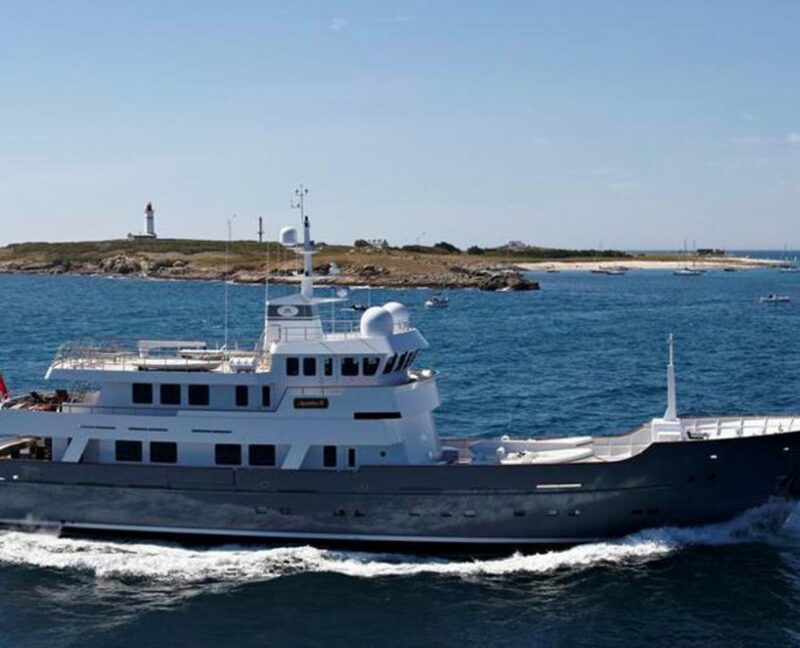 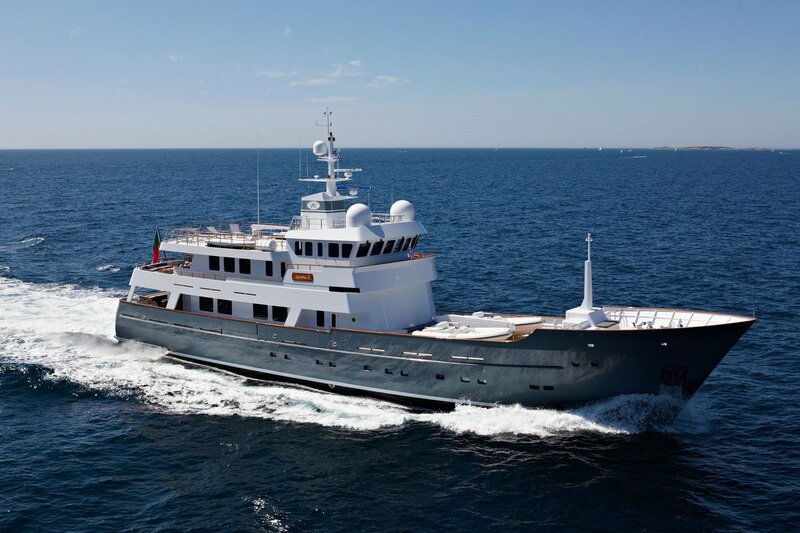 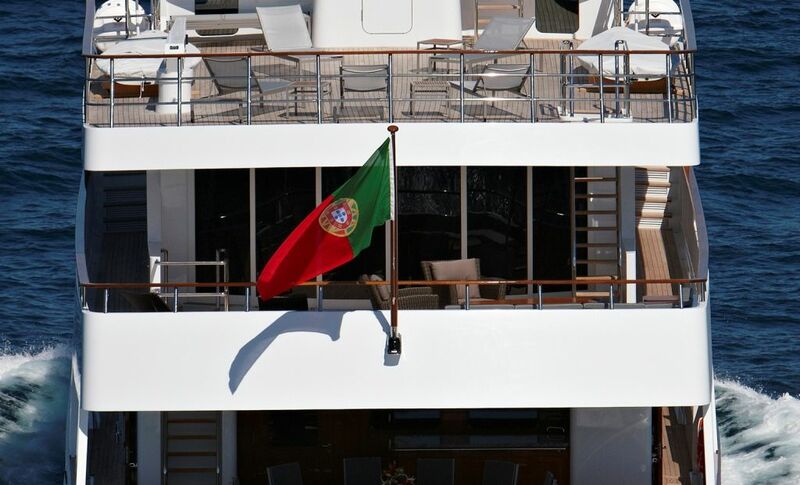 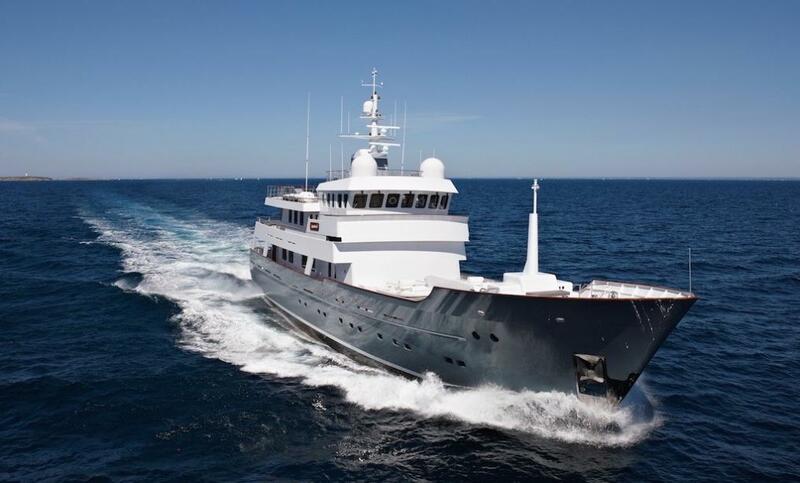 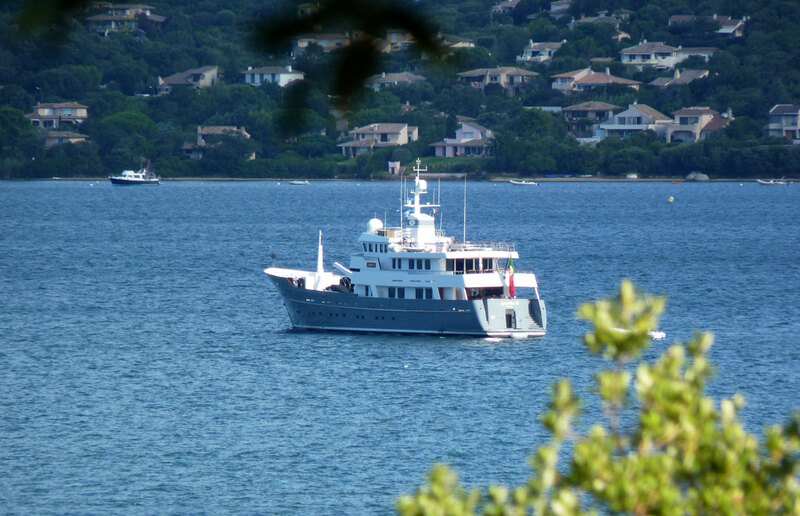 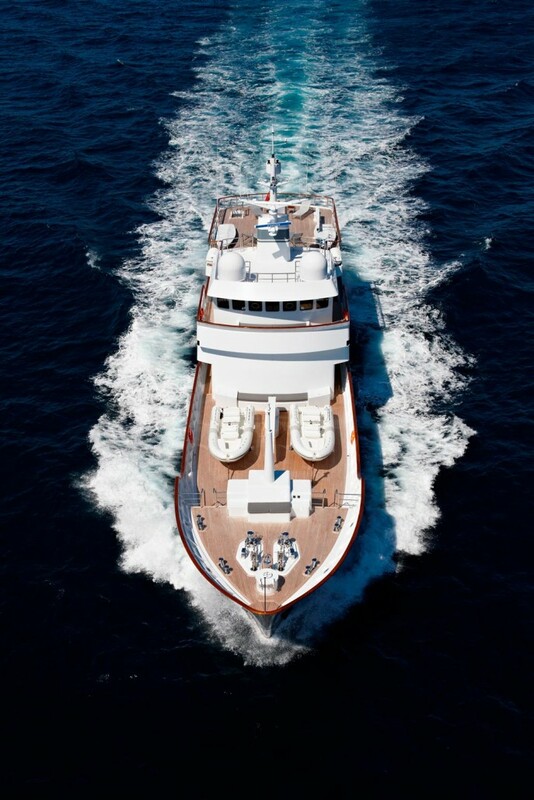 She is a perfect expedition charter yacht. 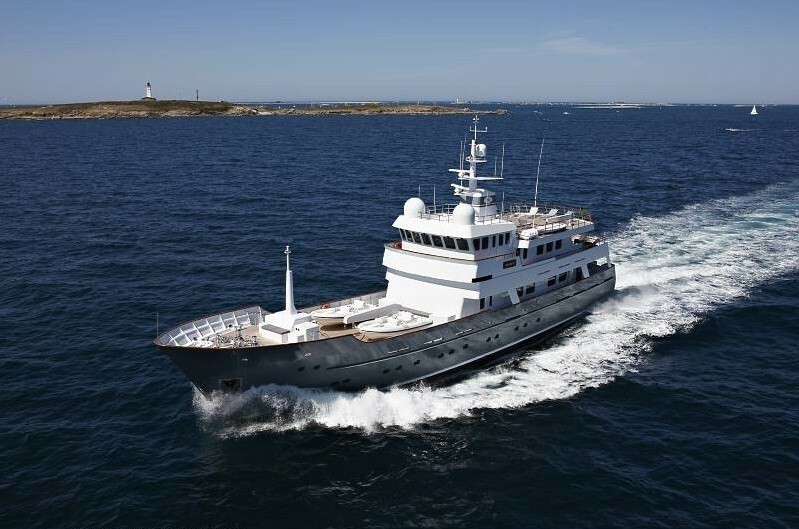 She is classed by Bureau Veritas and is MCA compliant. 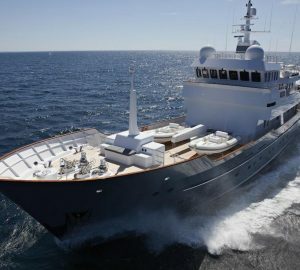 This expedition superyacht is available for luxury charter and other more distant and less populated regions.